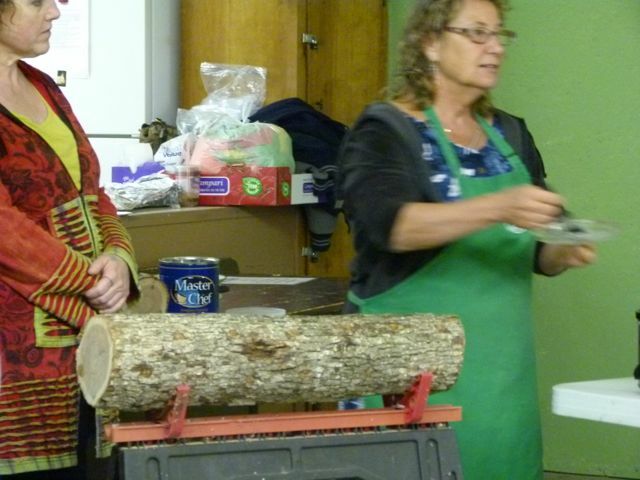 What a wonderful workshop it was! 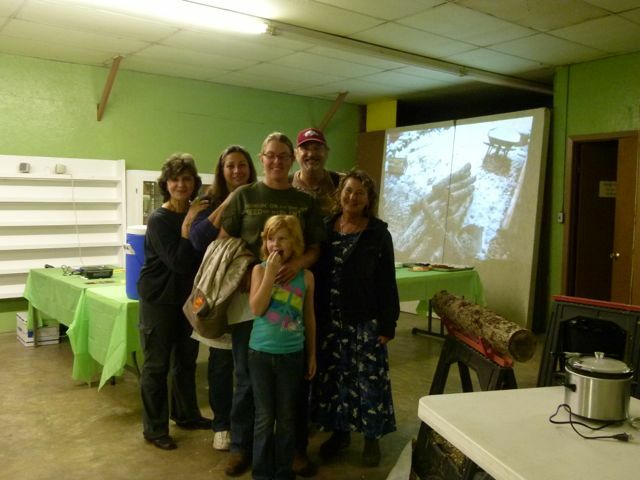 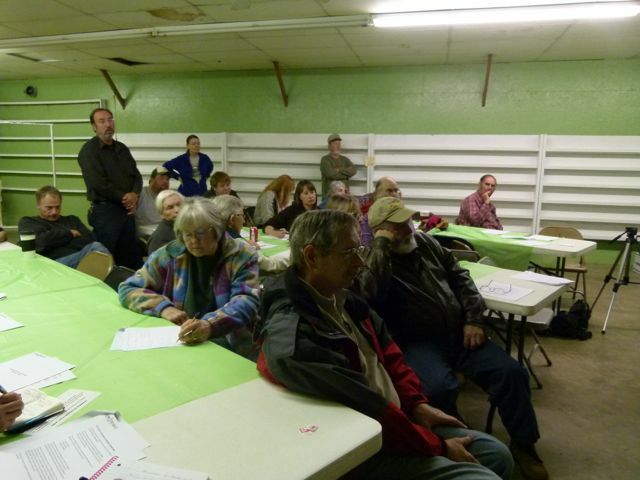 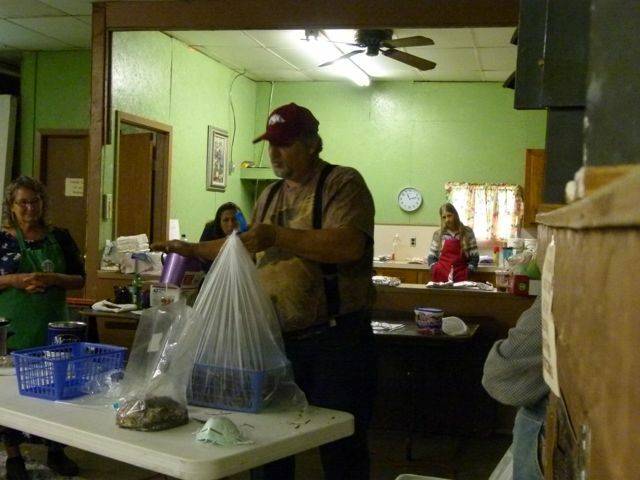 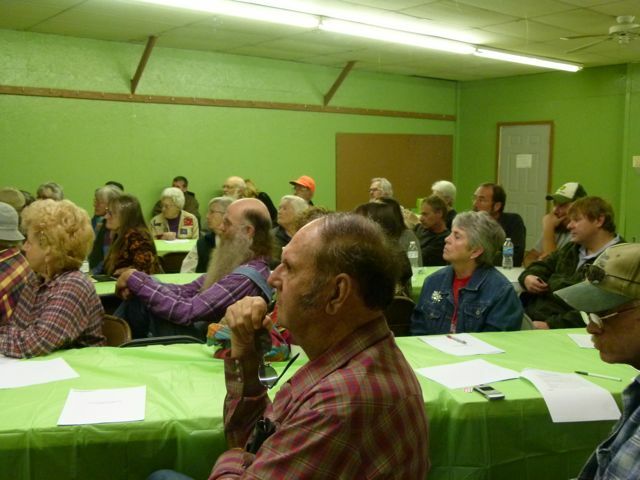 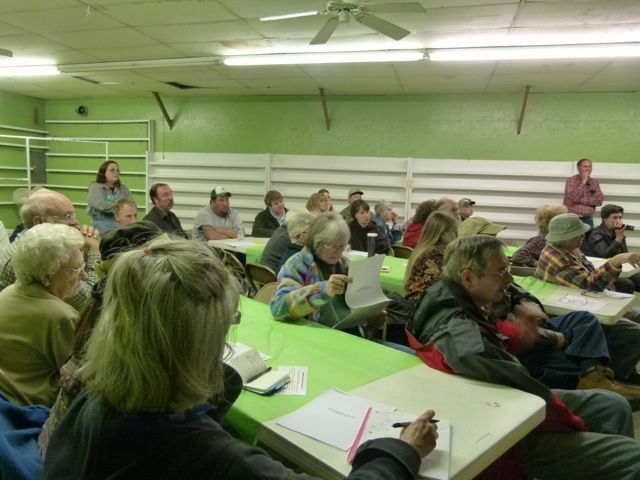 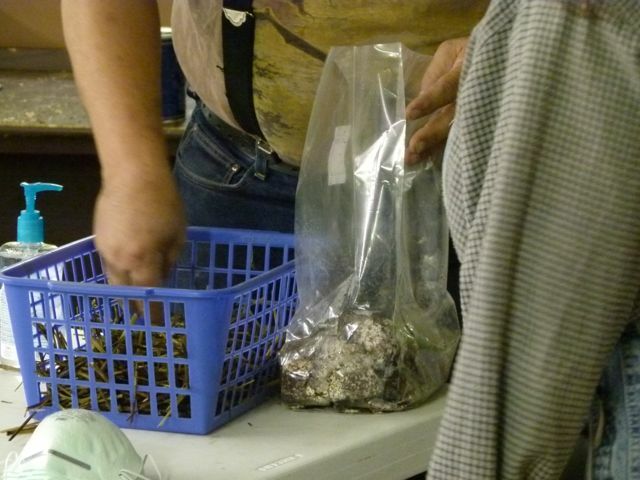 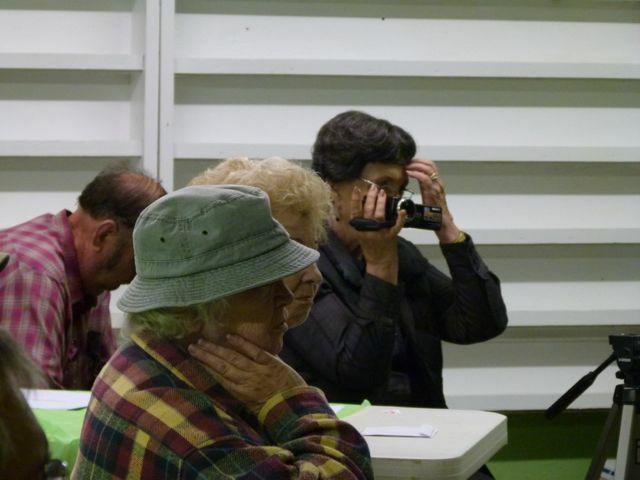 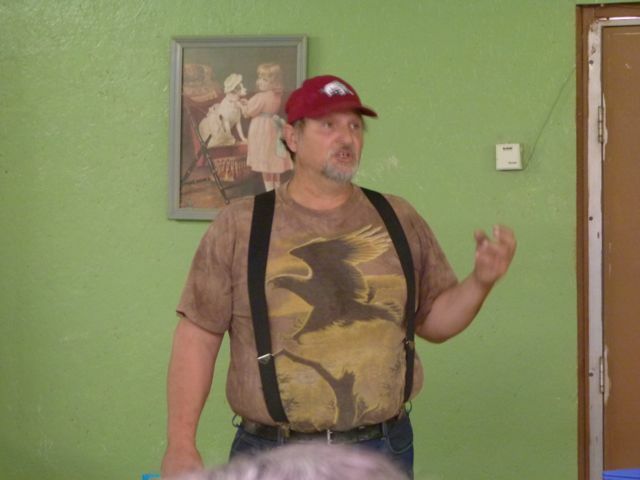 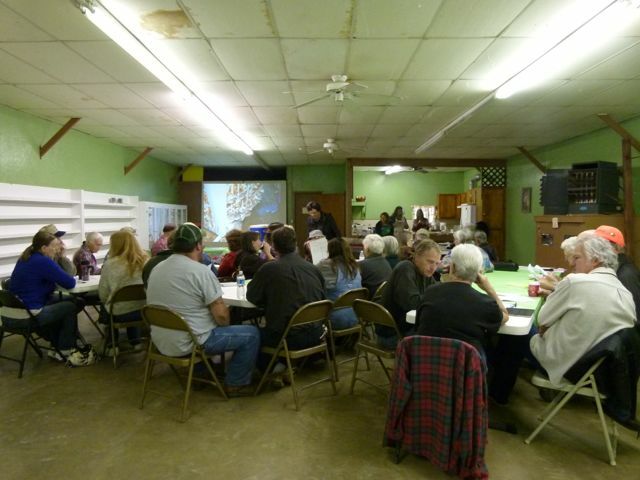 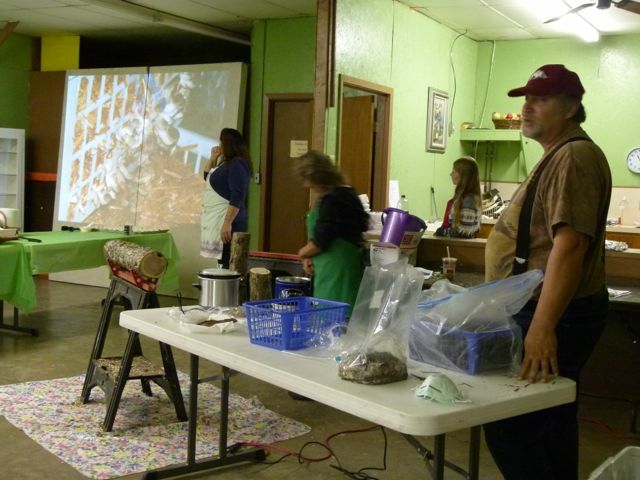 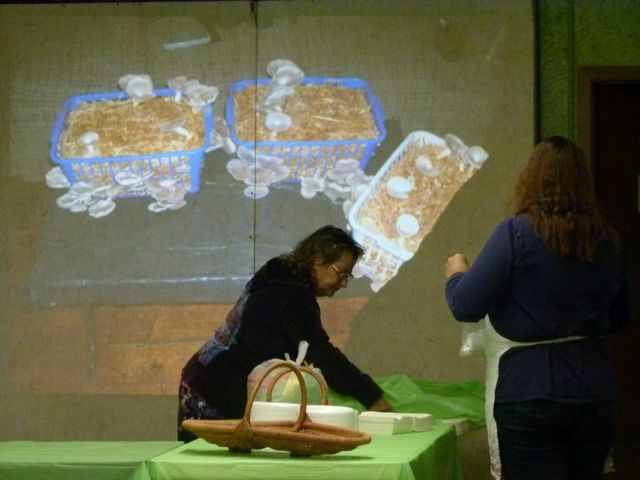 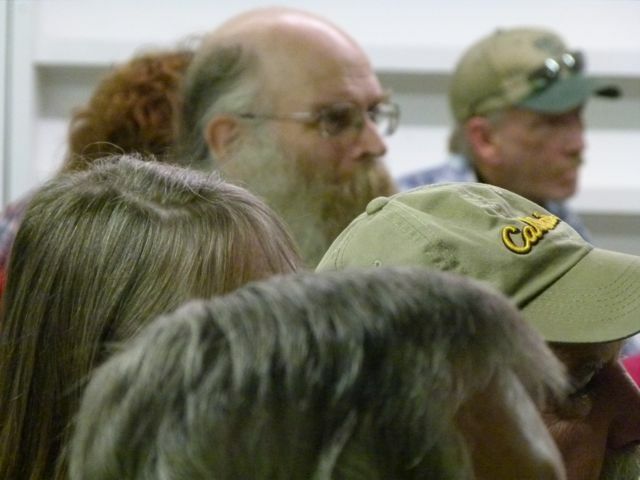 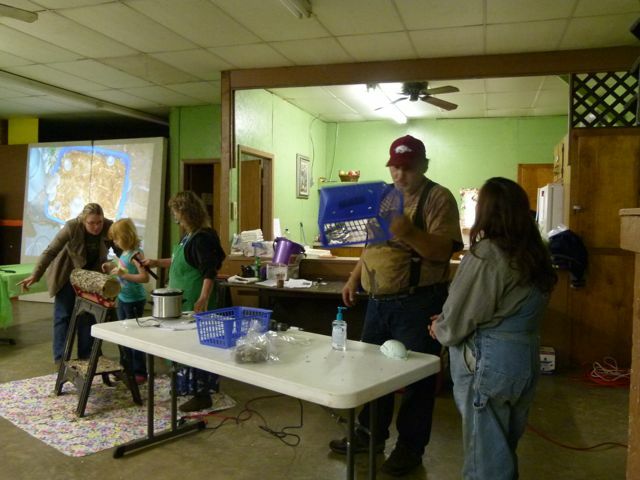 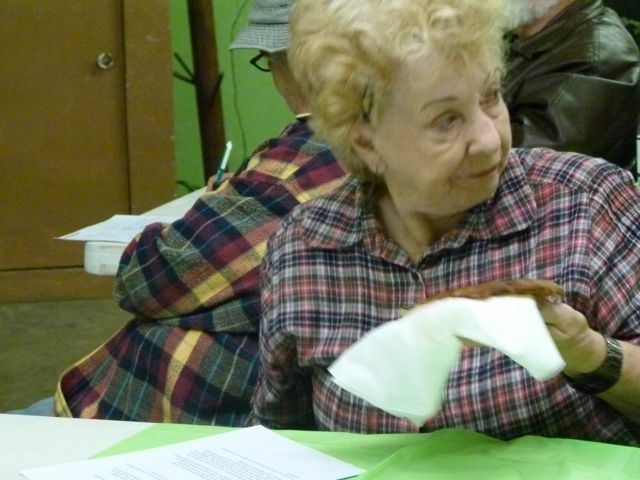 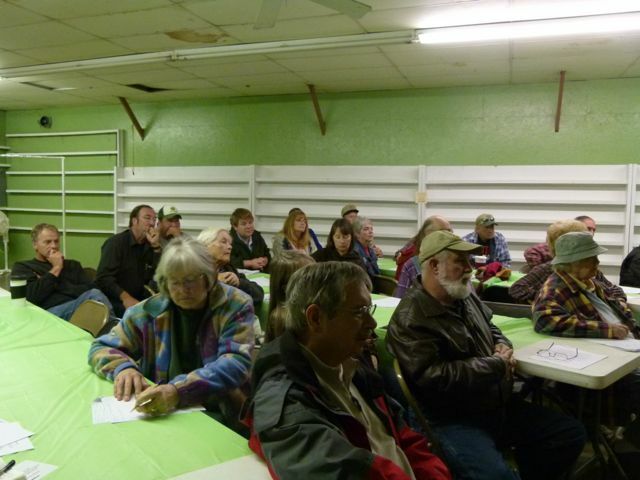 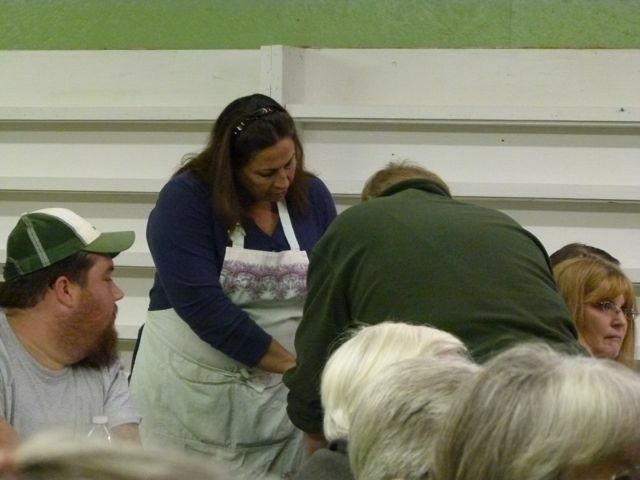 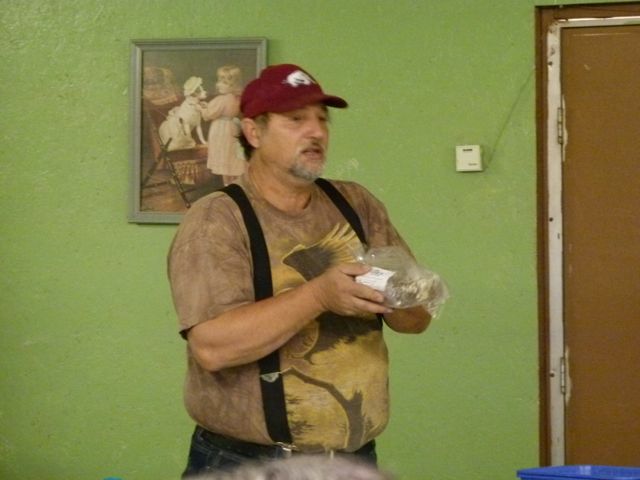 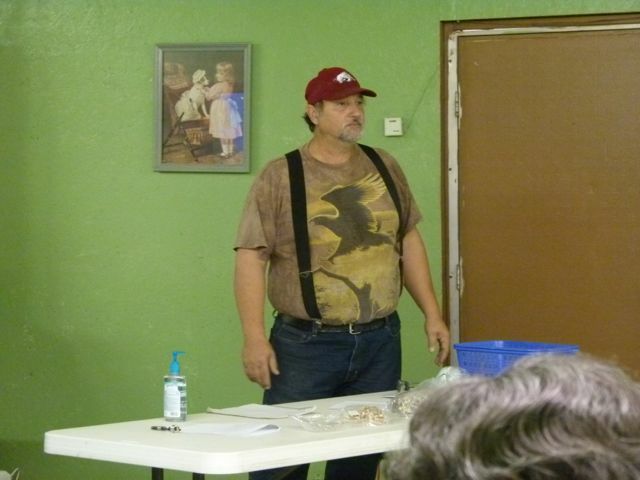 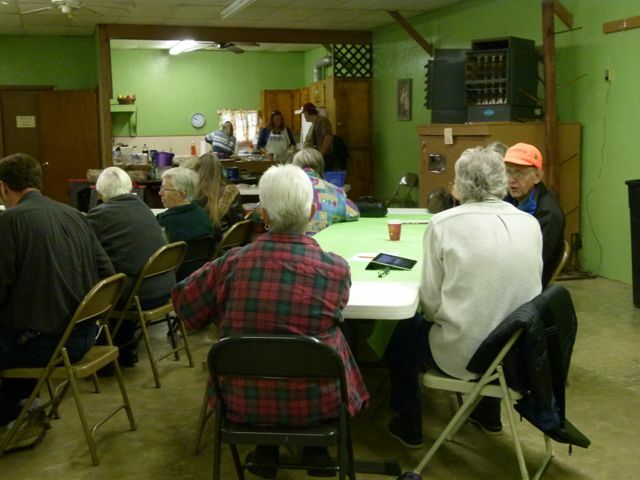 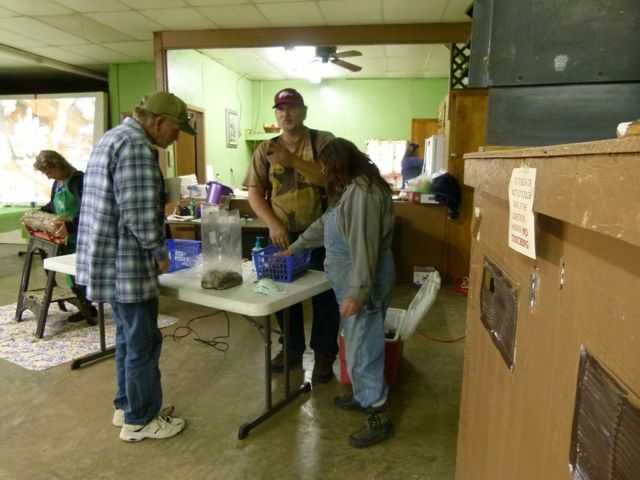 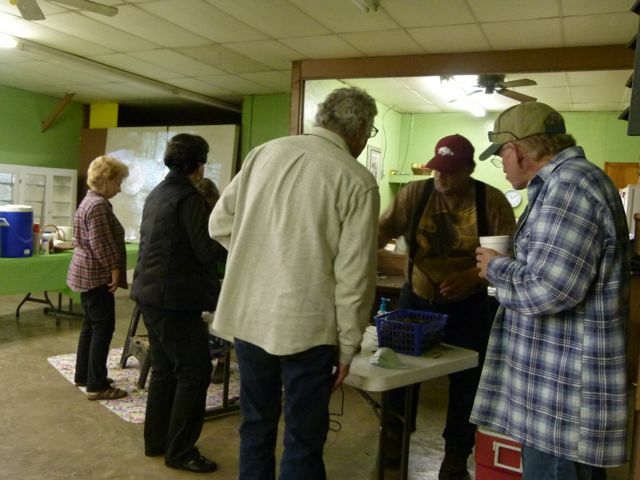 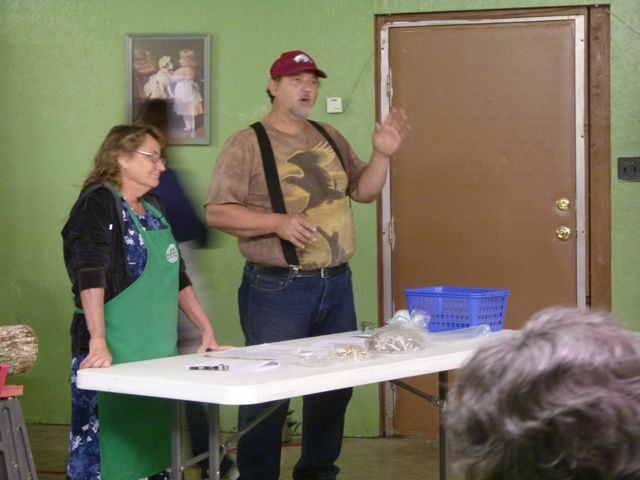 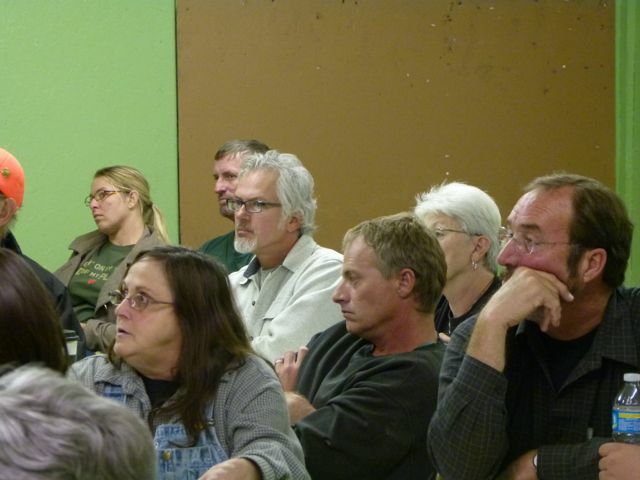 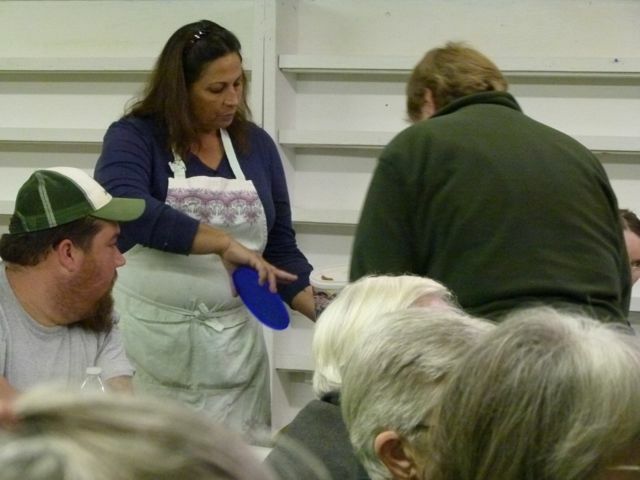 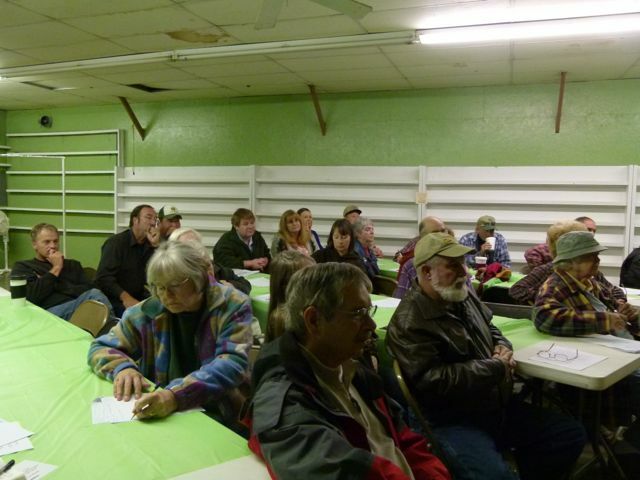 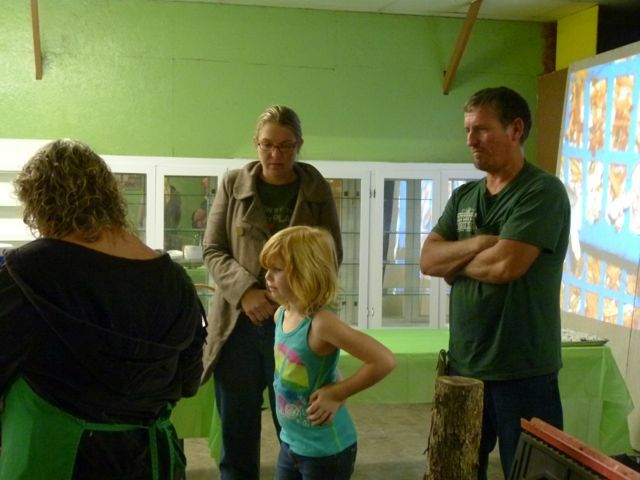 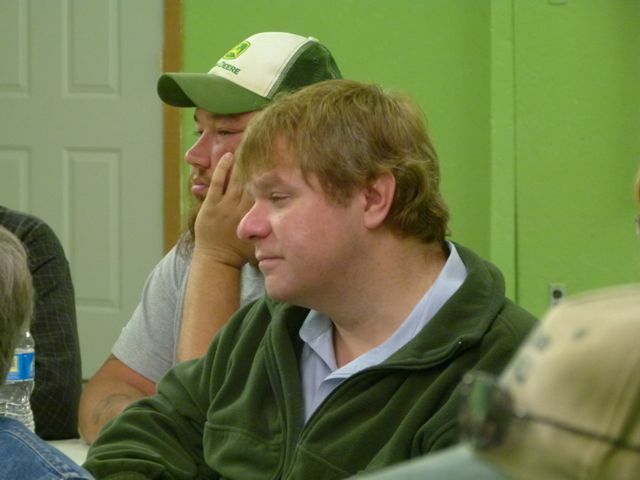 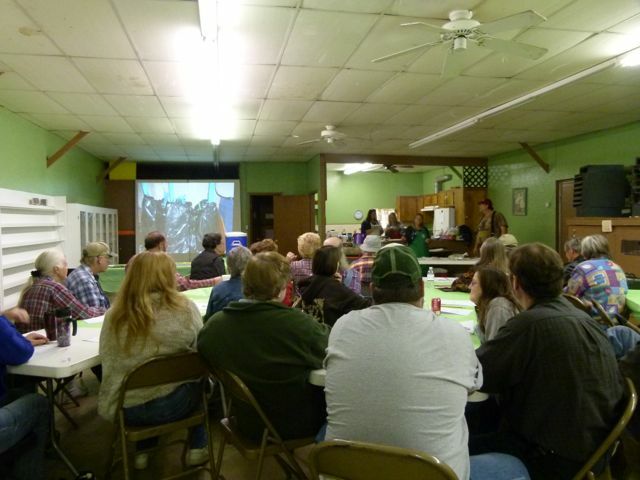 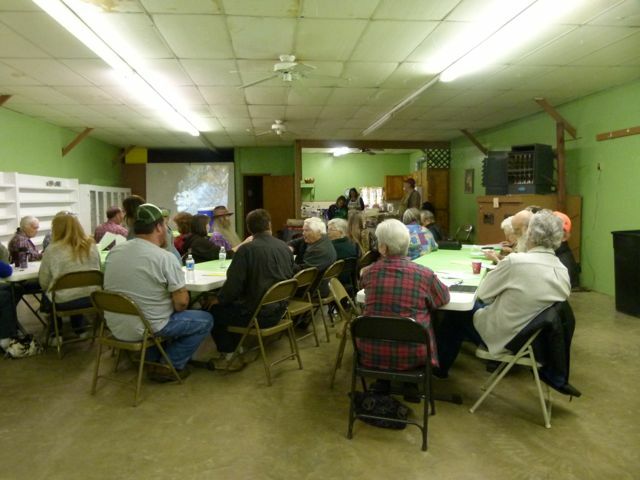 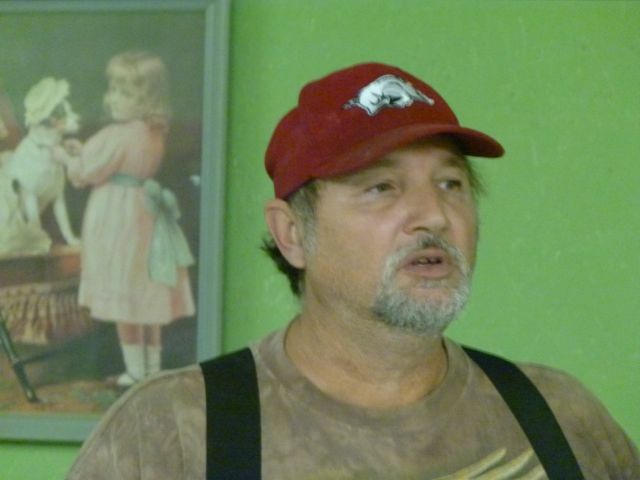 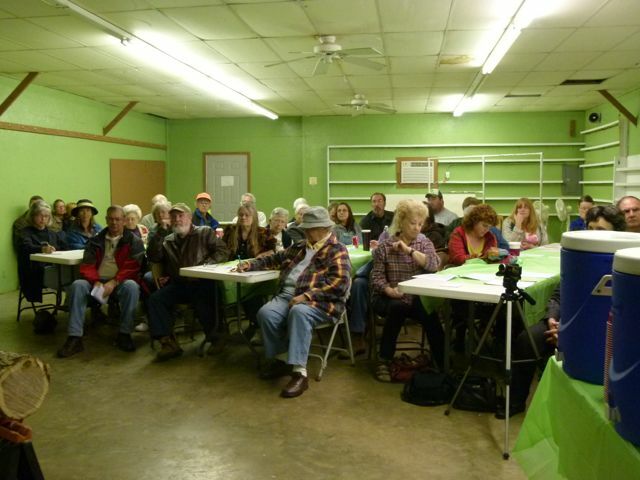 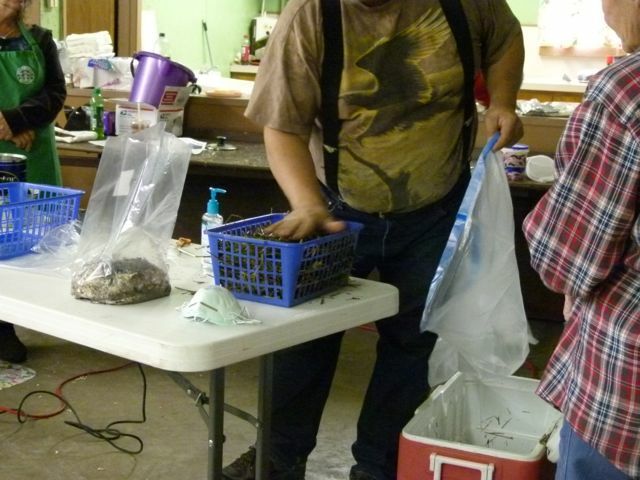 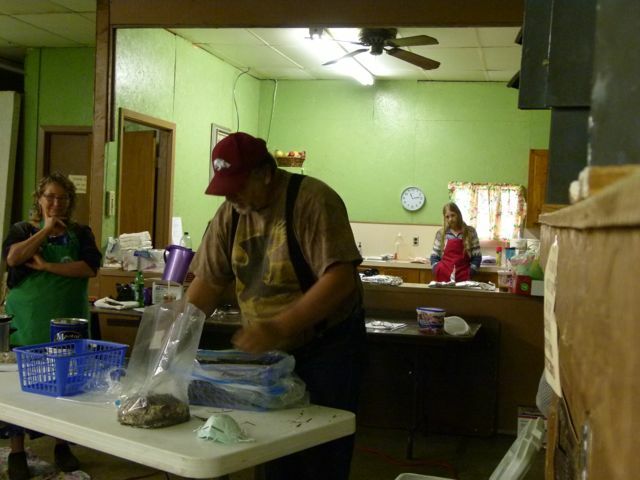 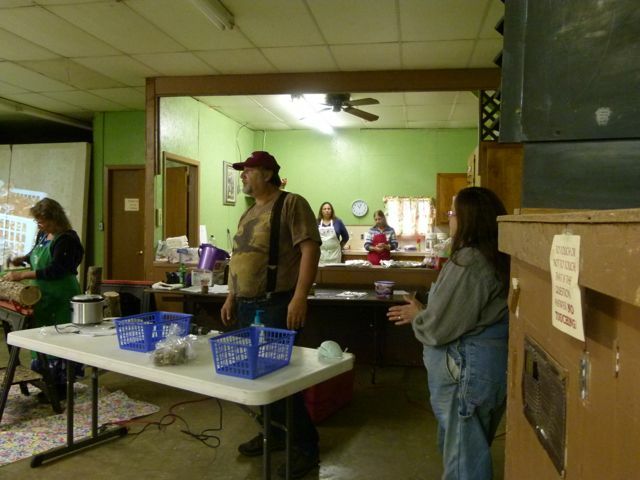 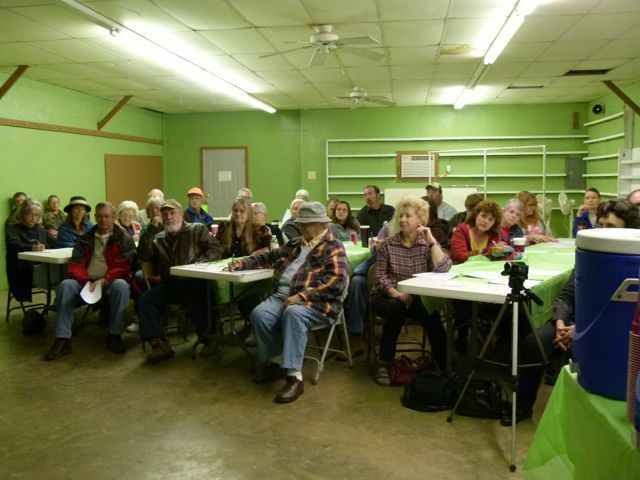 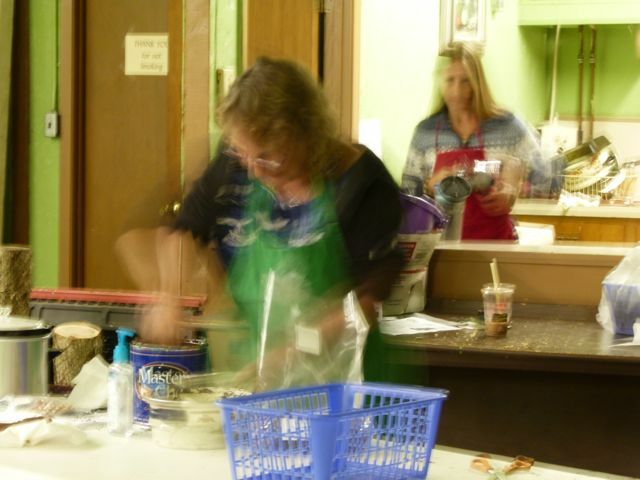 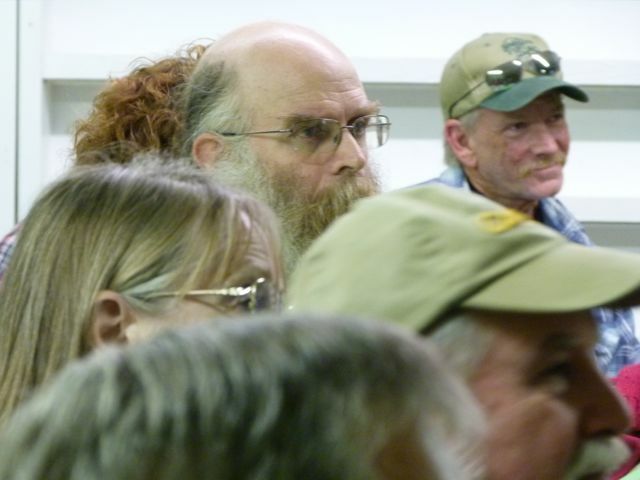 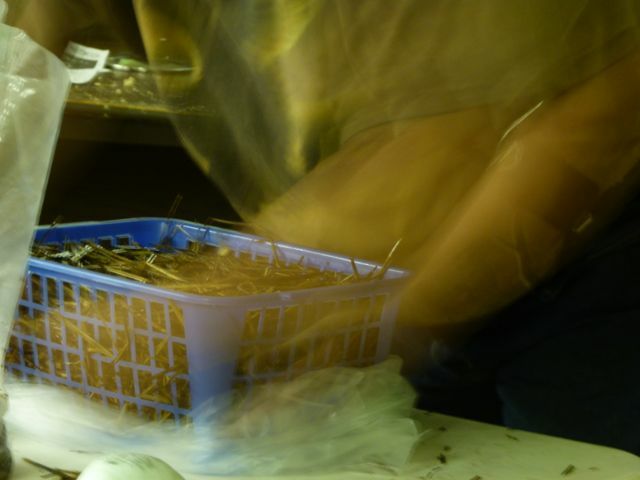 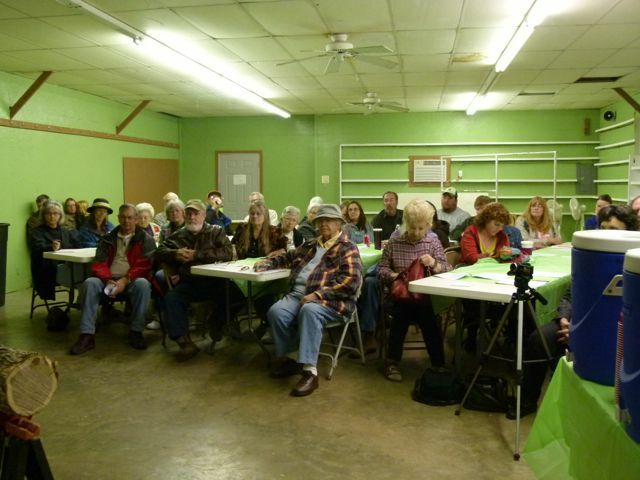 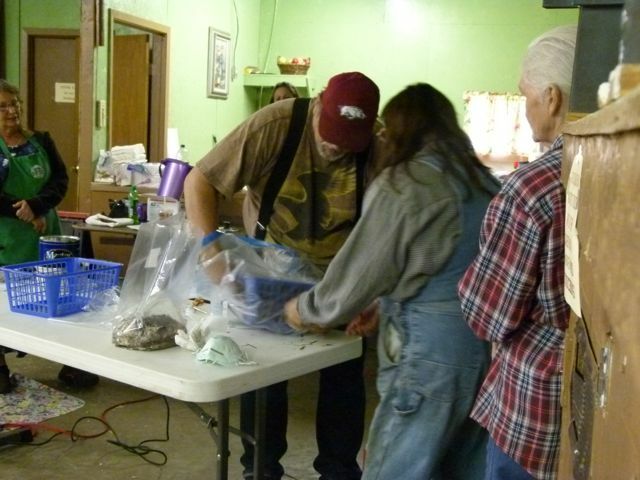 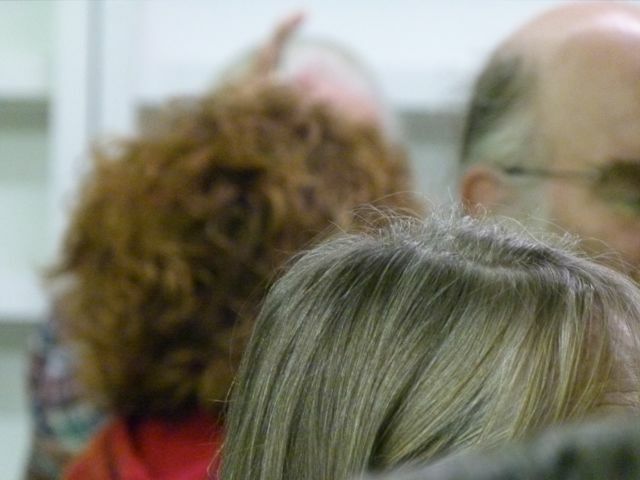 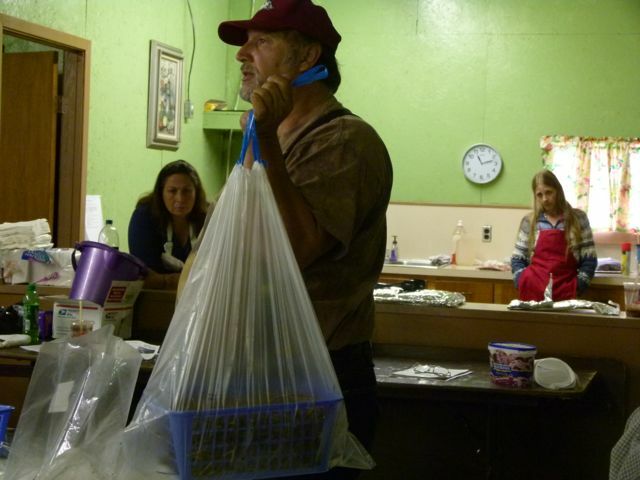 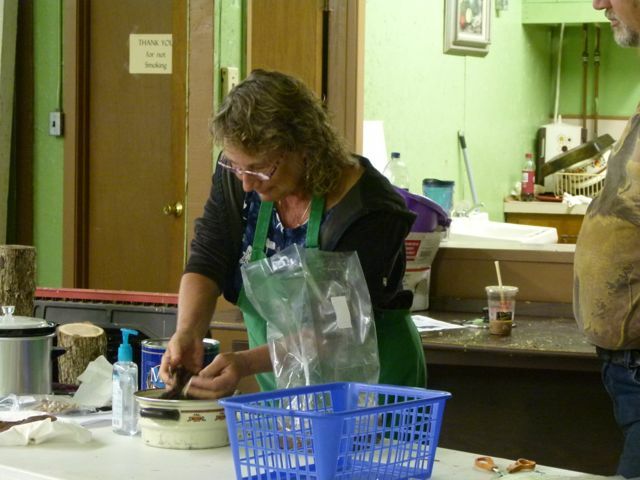 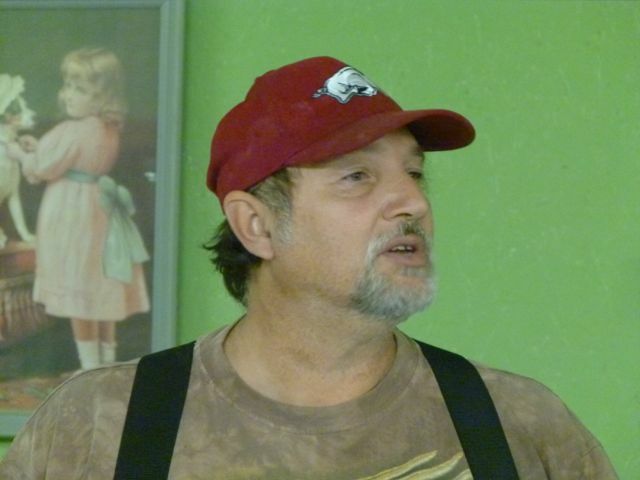 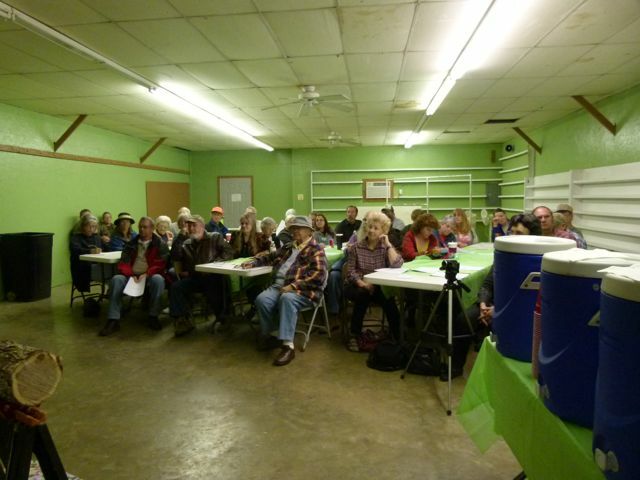 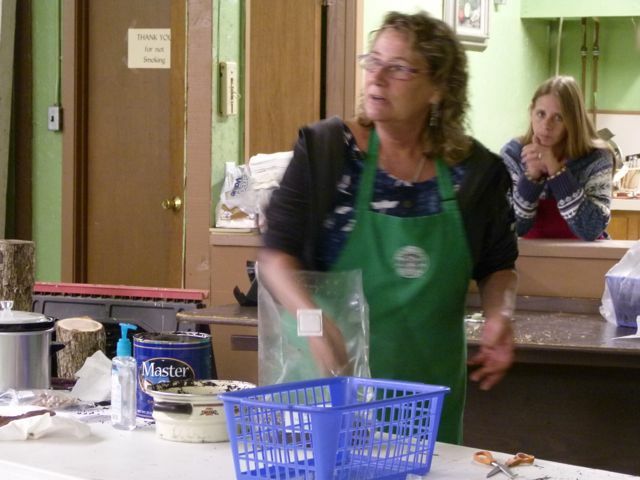 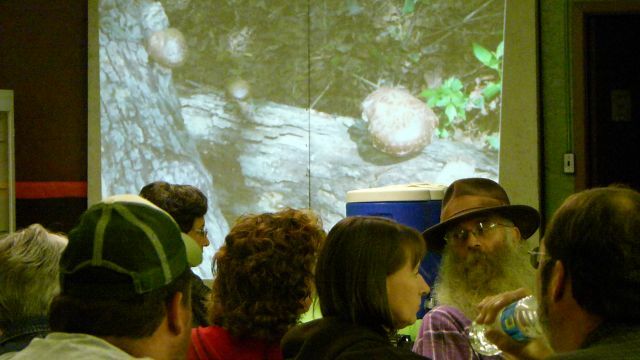 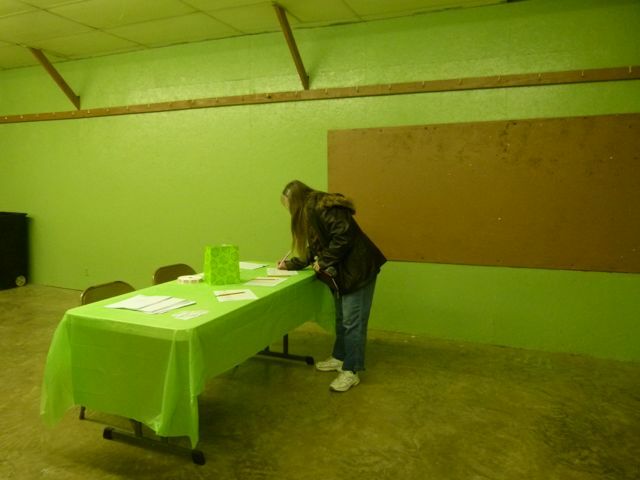 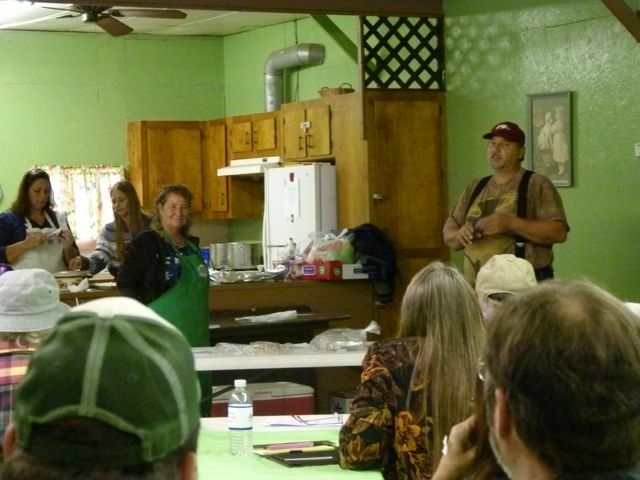 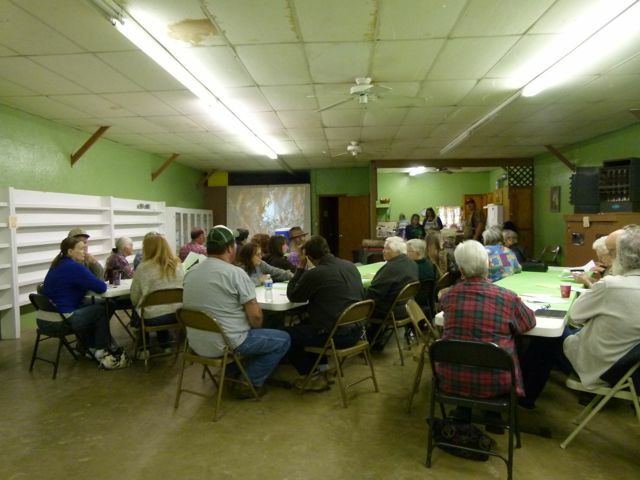 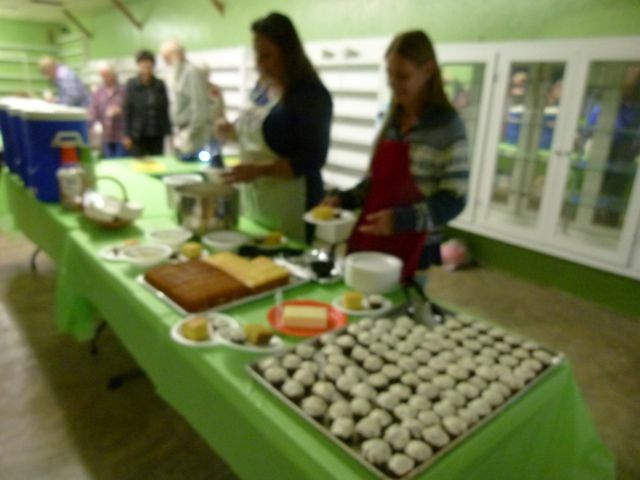 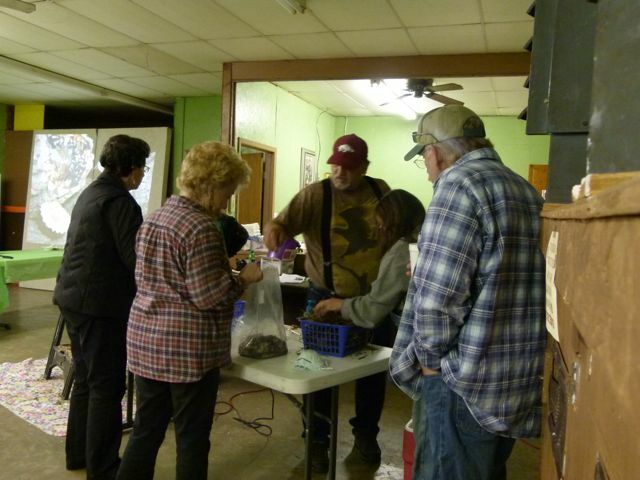 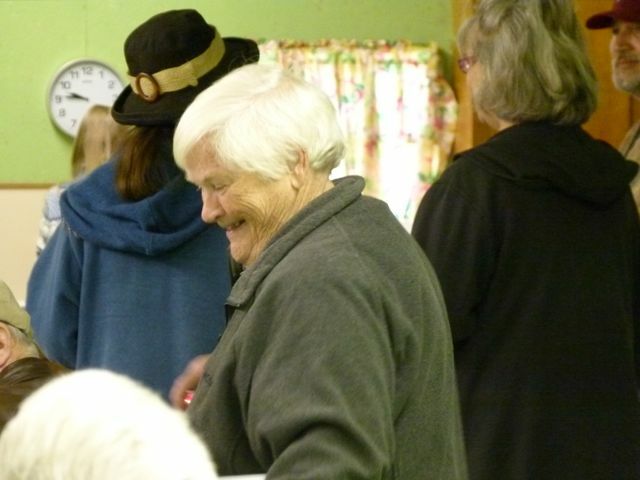 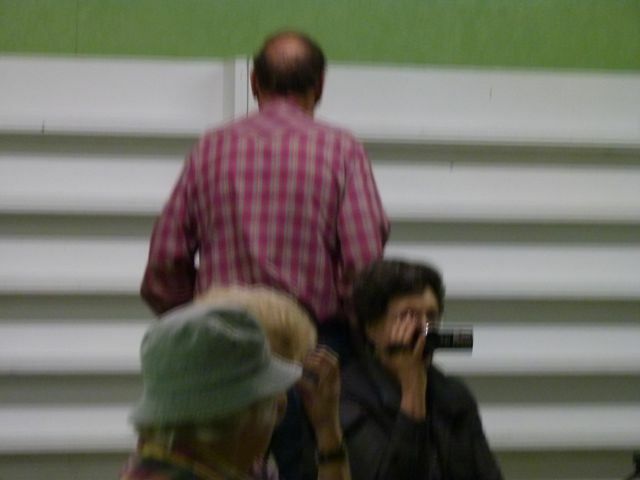 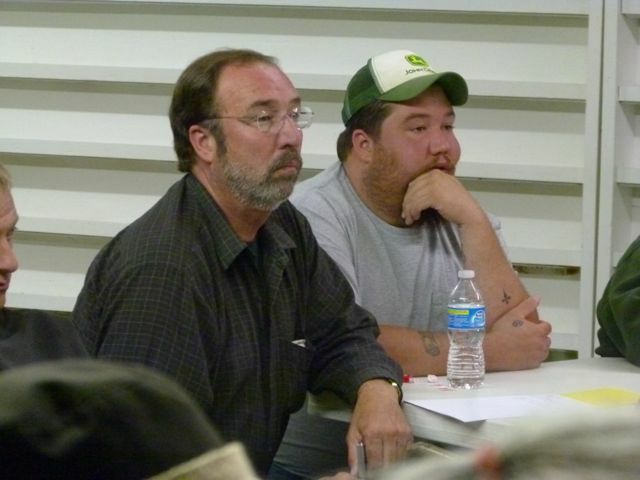 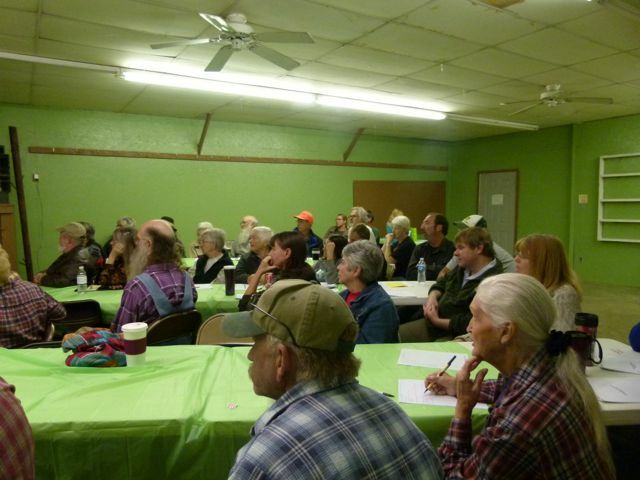 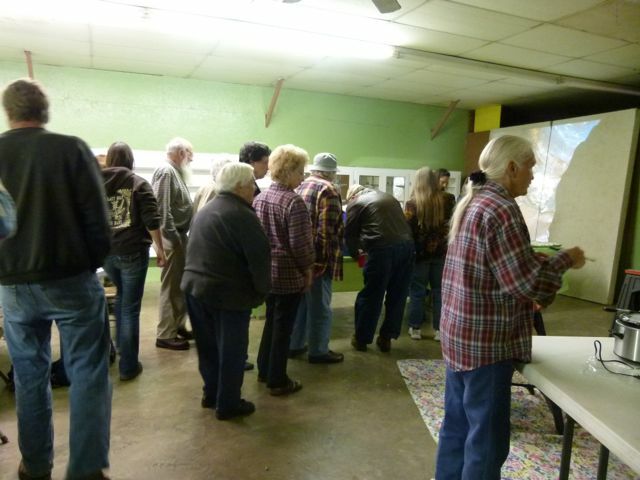 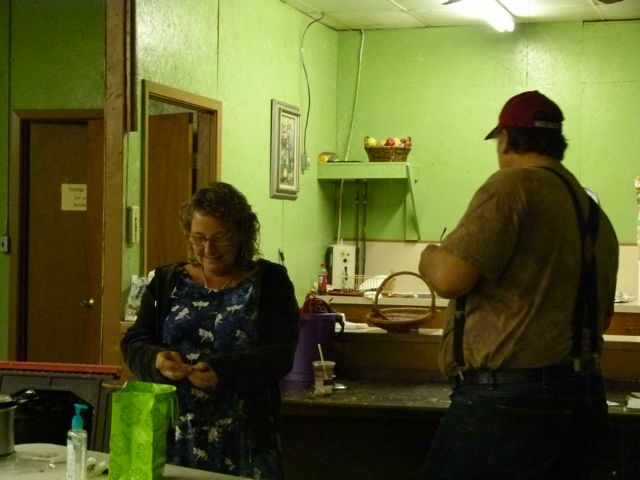 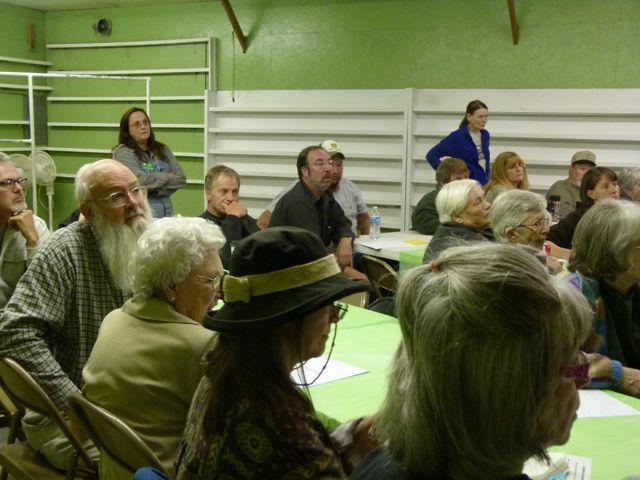 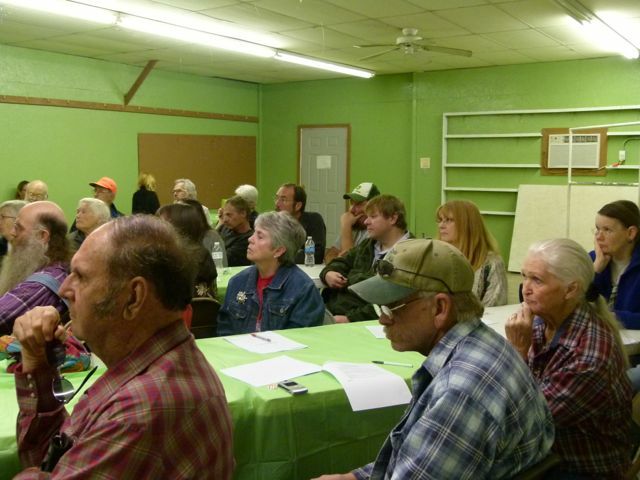 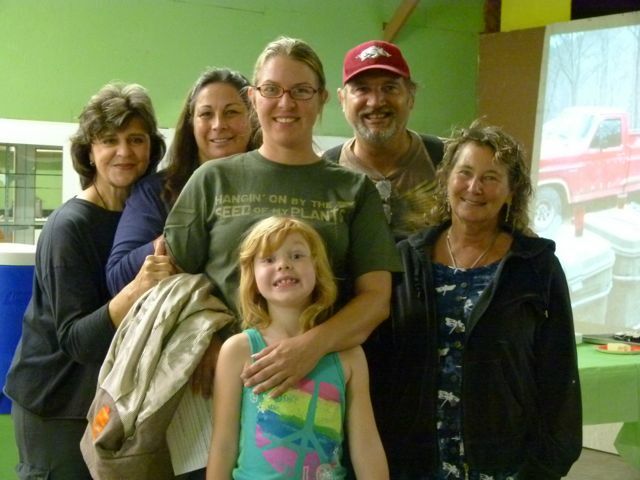 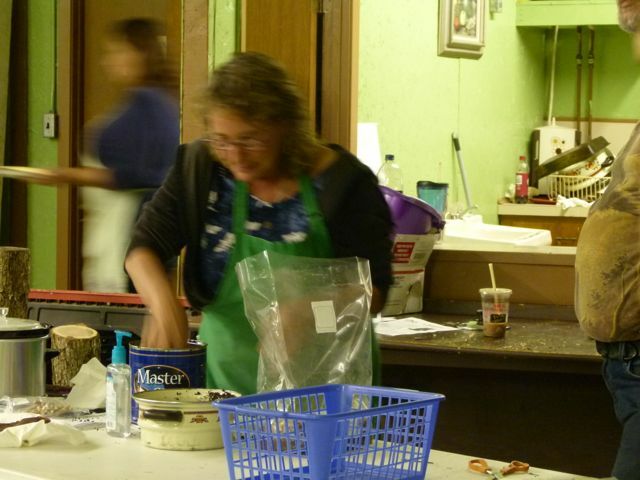 Over forty-five participants were treated to 2 1/2 hours of information and demonstrations with most leaving very excited about growing their own and/or creating a small business selling mushrooms. 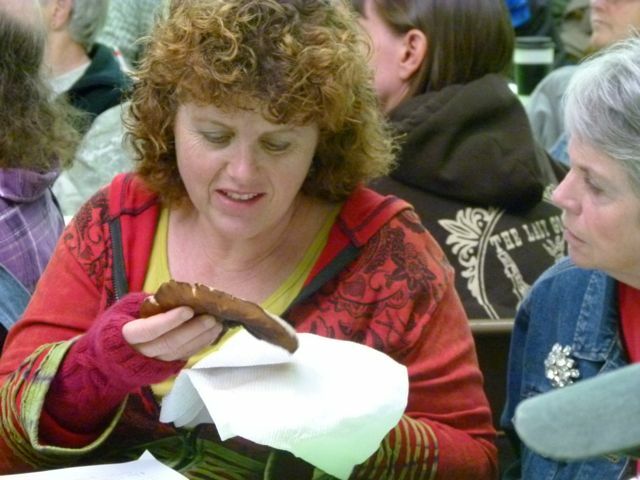 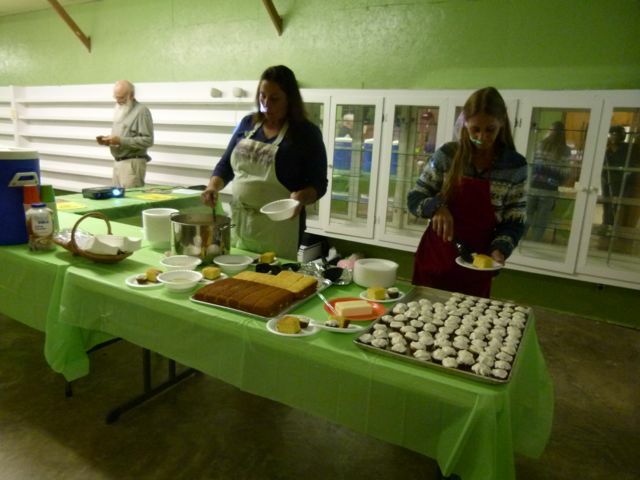 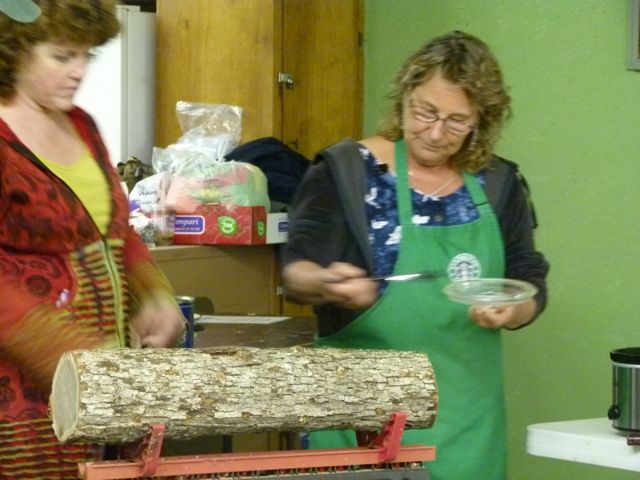 Participants learned that In addition to their robust/pungent, woodsy flavor and meaty texture, shiitakes provide high levels of protein (18%), potassium, niacin and B vitamins, calcium, magnesium and phosphorus. 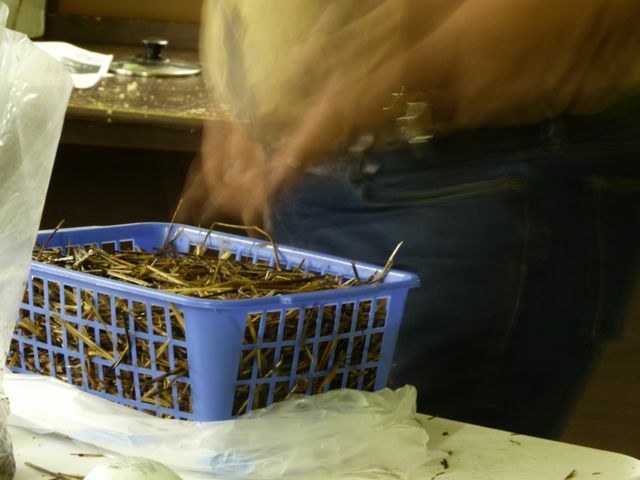 They have natural antiviral and immunity-boosting properties and are used nutritionally to fight viruses, lower cholesterol and regulate blood pressure. 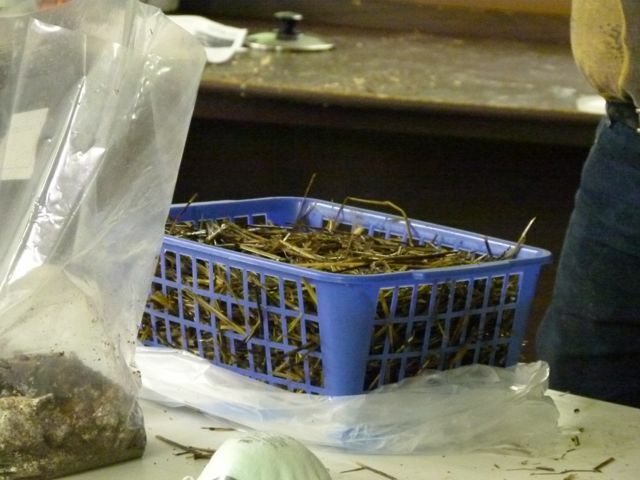 Lentinan, an immunostimulant derived from shiitakes, has been used to treat cancer, AIDS, diabetes, chronic fatigue syndrome, fibrocystic breast disease, and other conditions with impressive results. 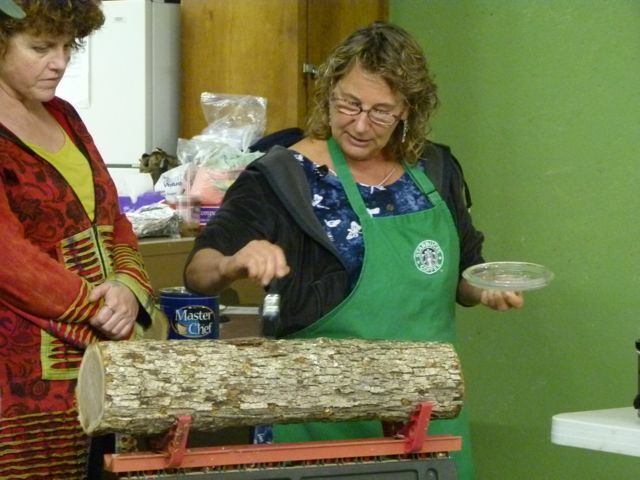 Researchers S. Suzuki and Oshima found that a raw shiitake eaten daily for one week lowered serum cholesterol by 12%. 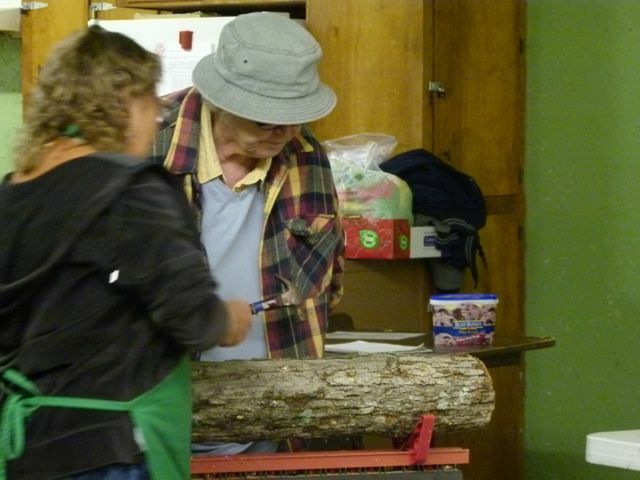 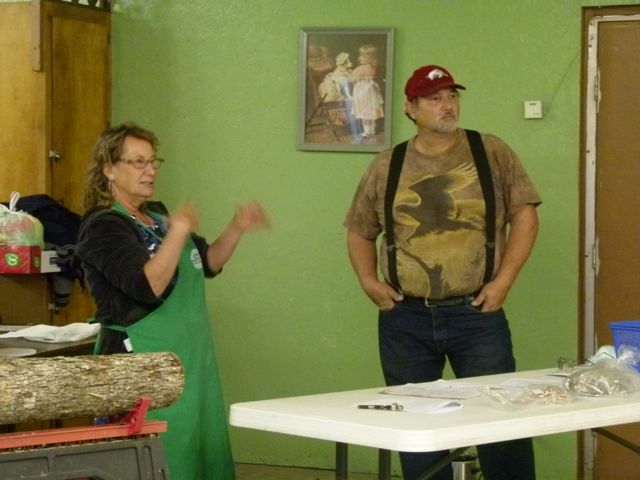 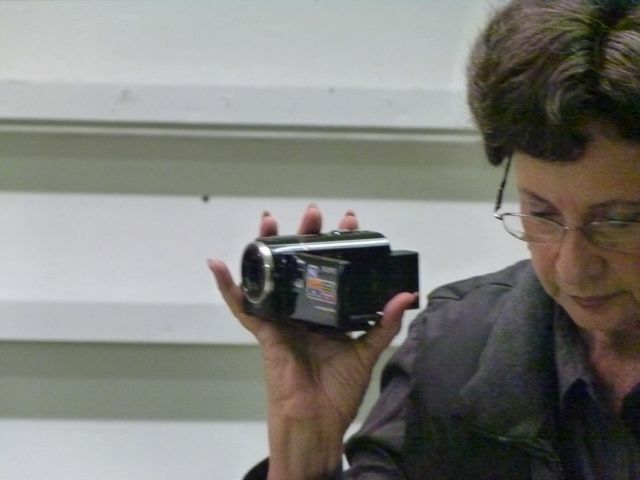 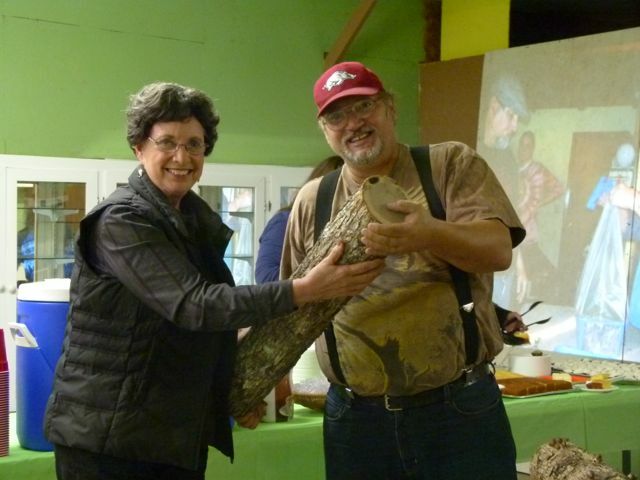 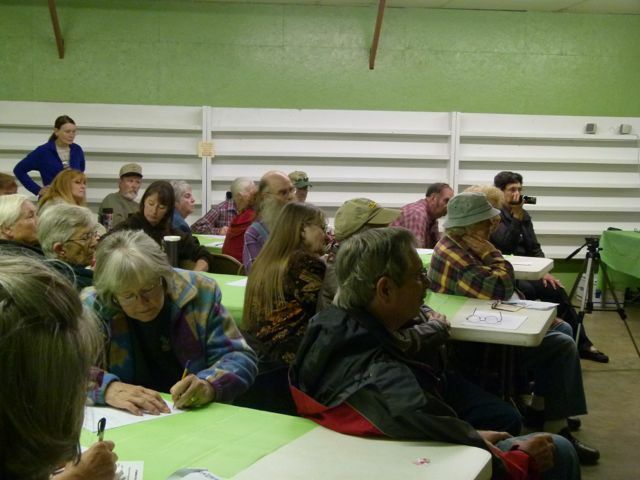 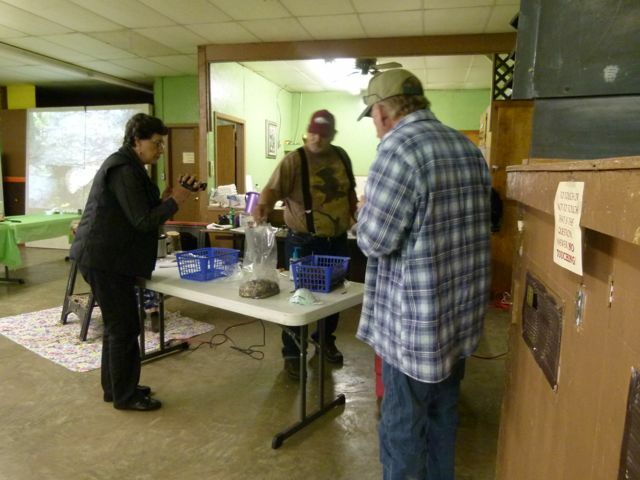 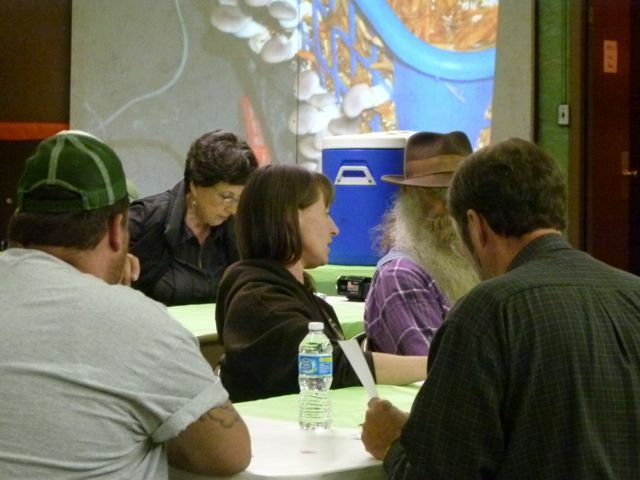 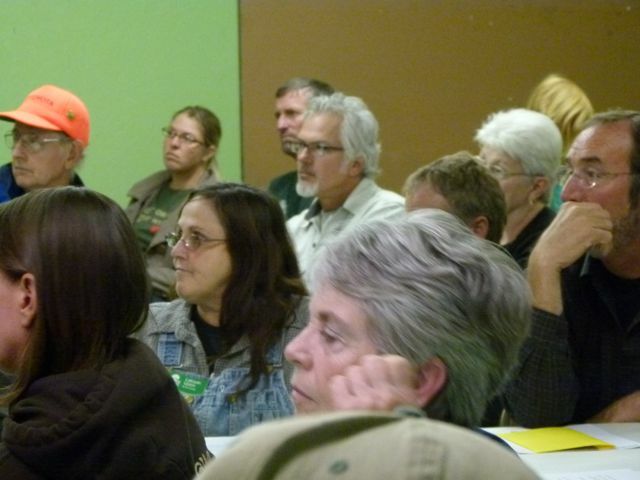 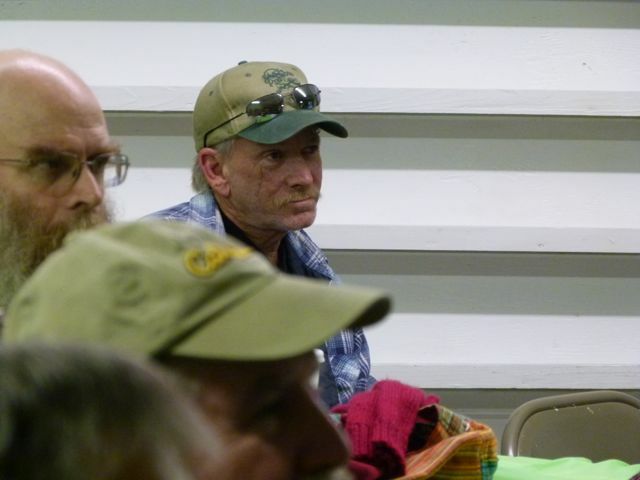 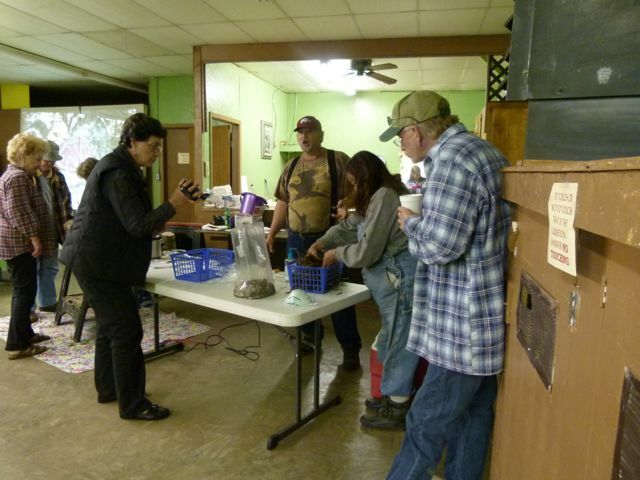 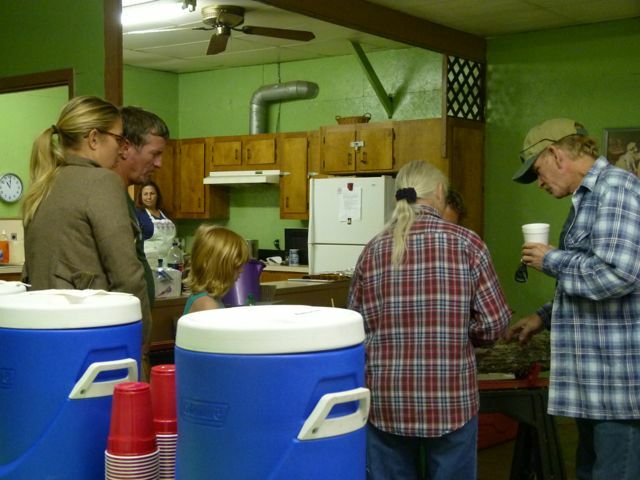 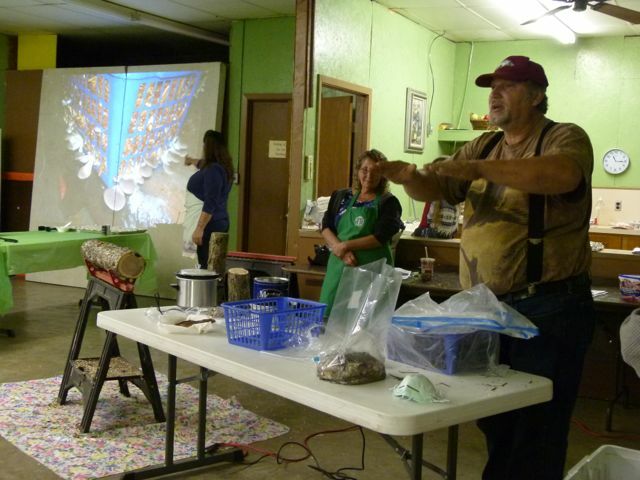 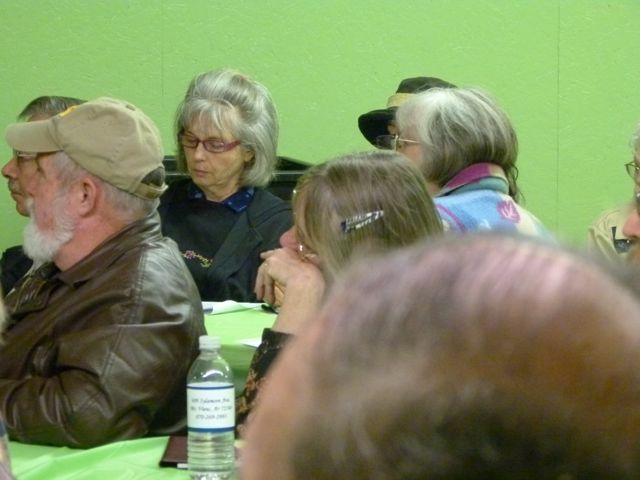 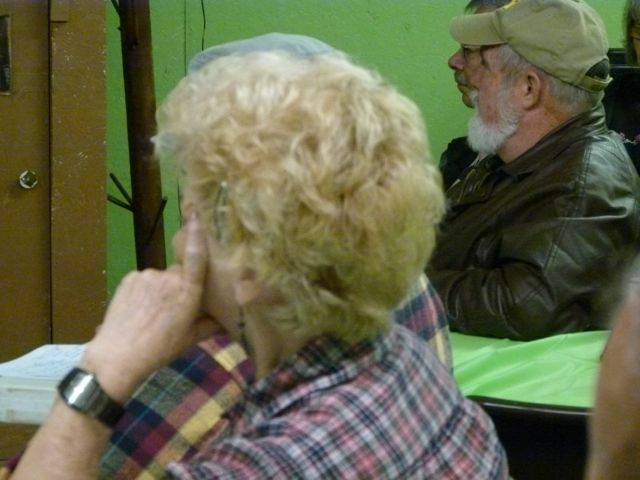 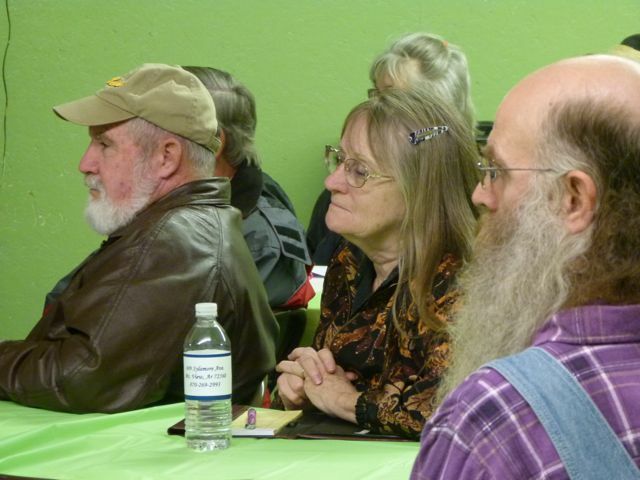 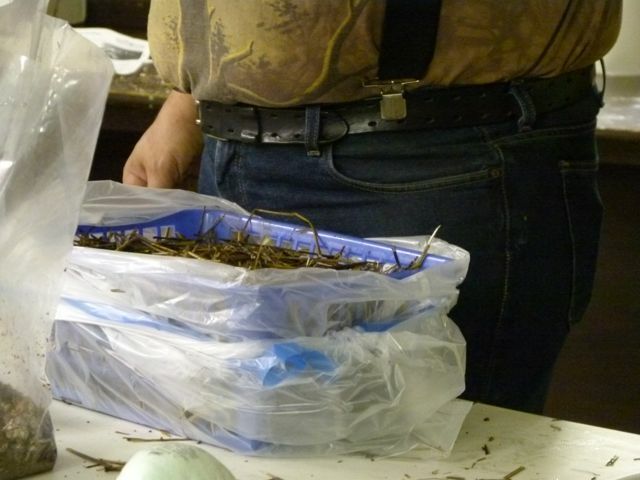 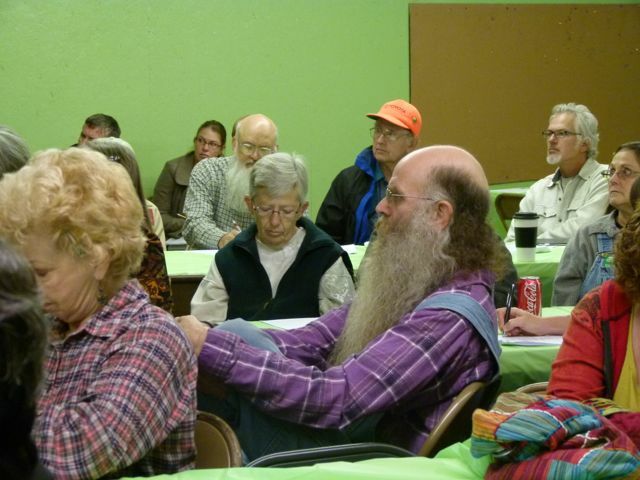 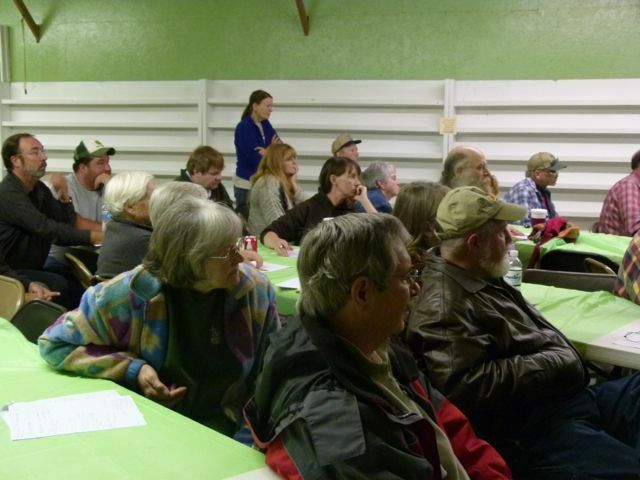 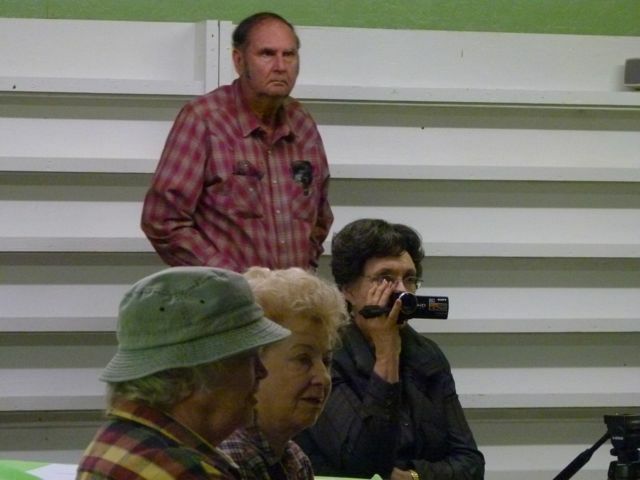 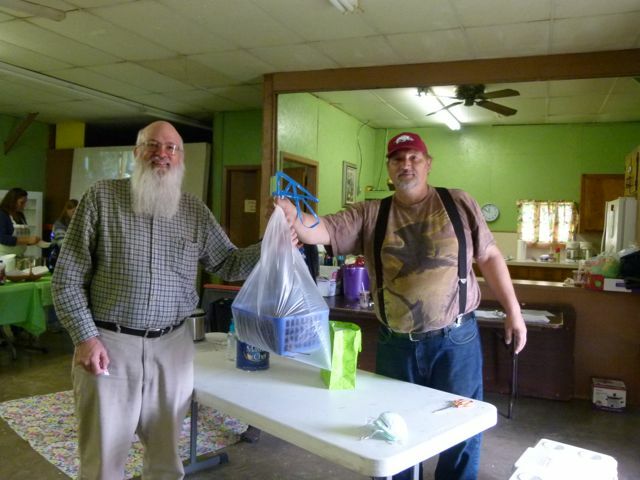 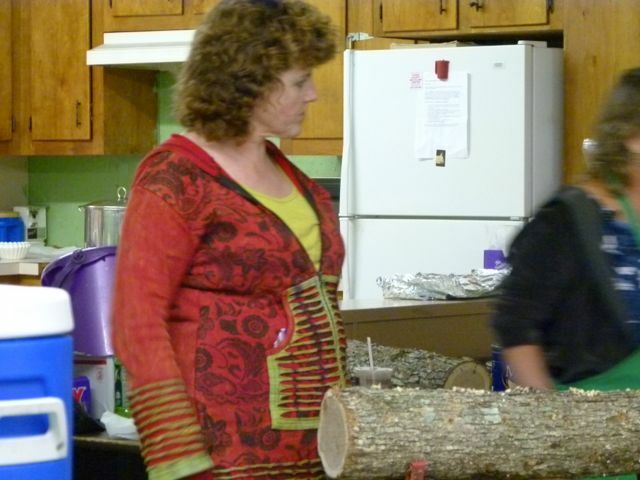 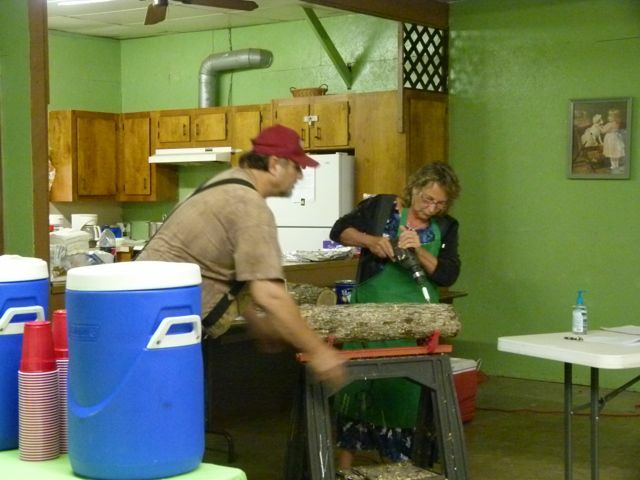 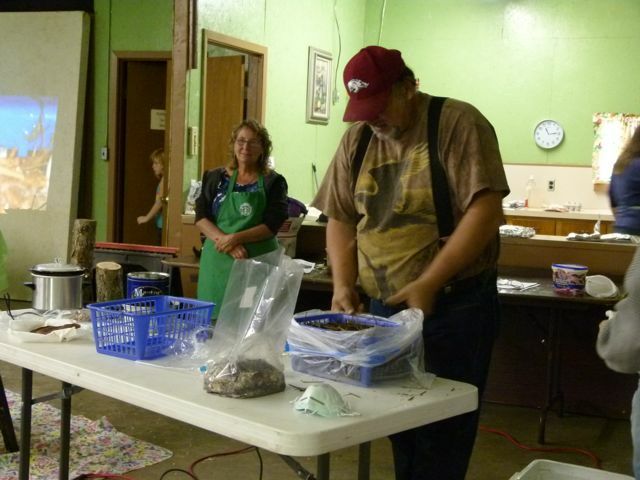 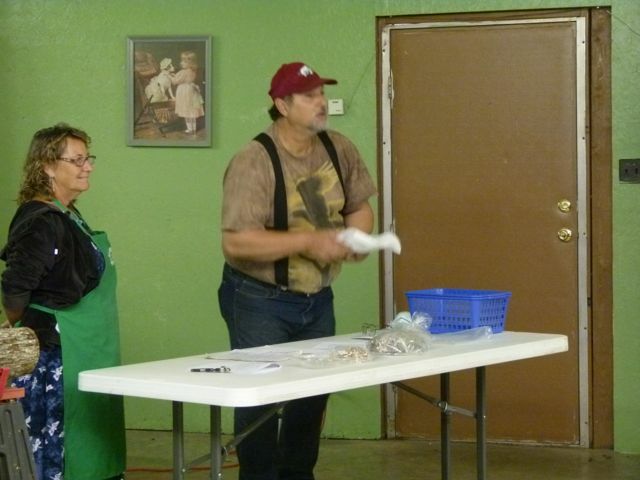 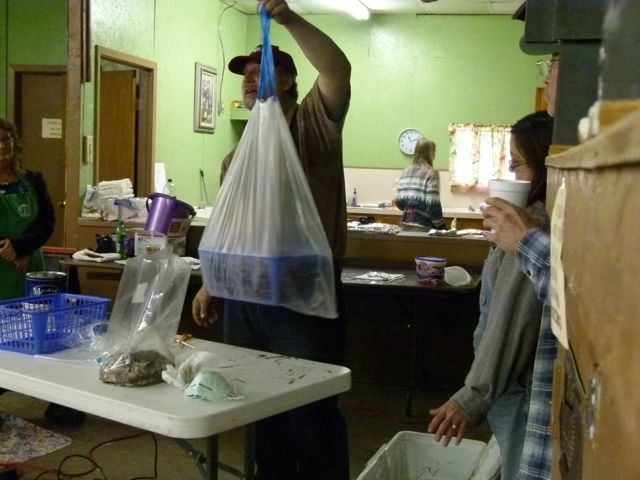 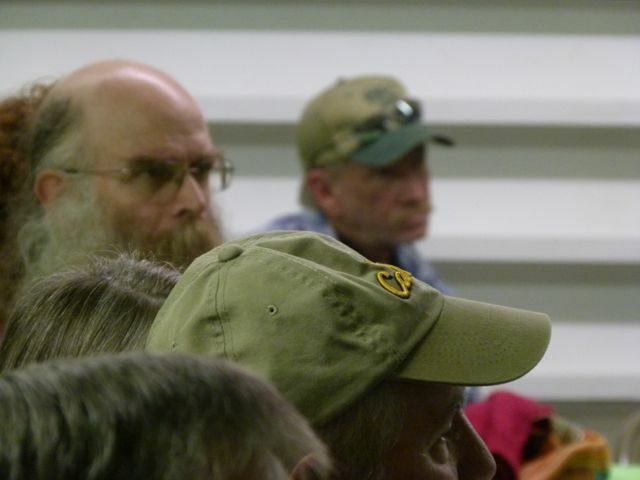 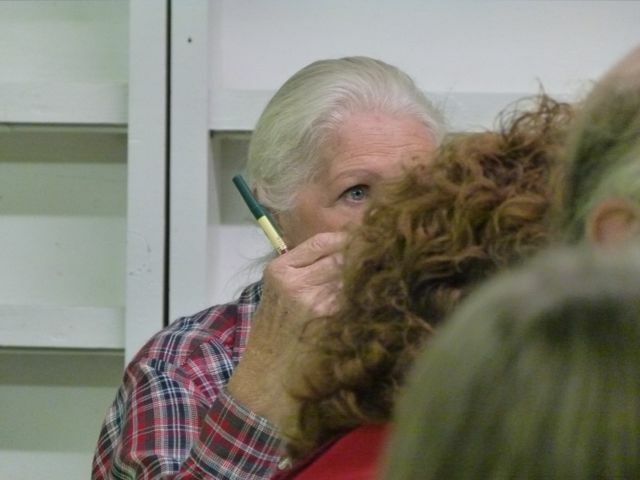 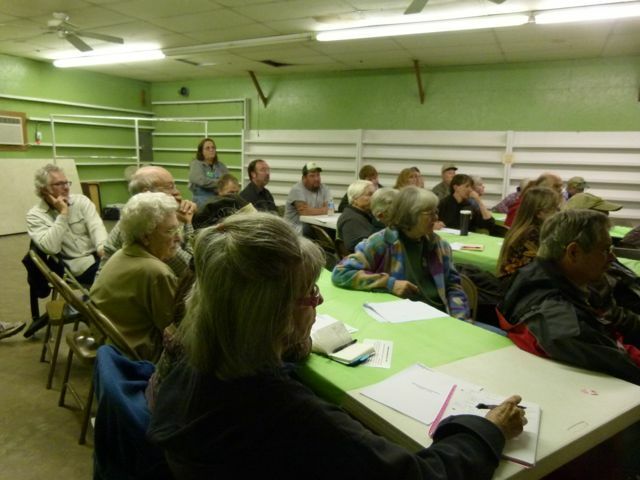 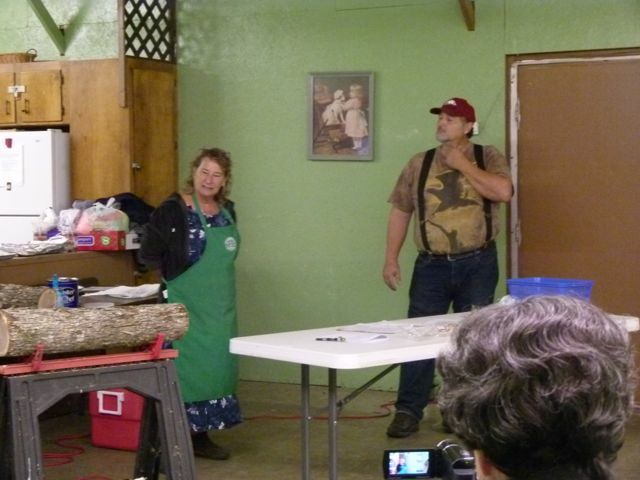 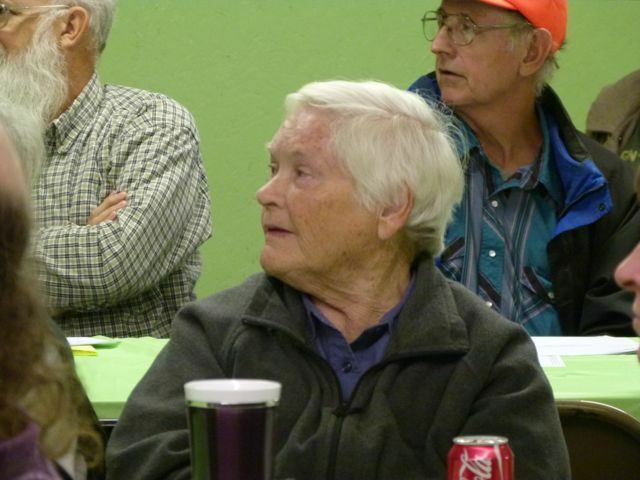 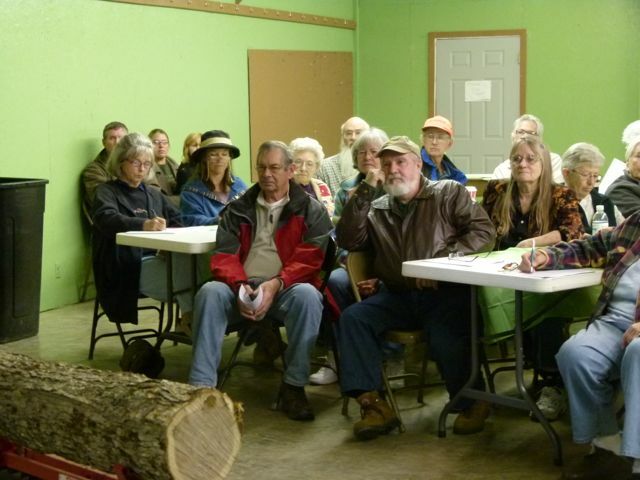 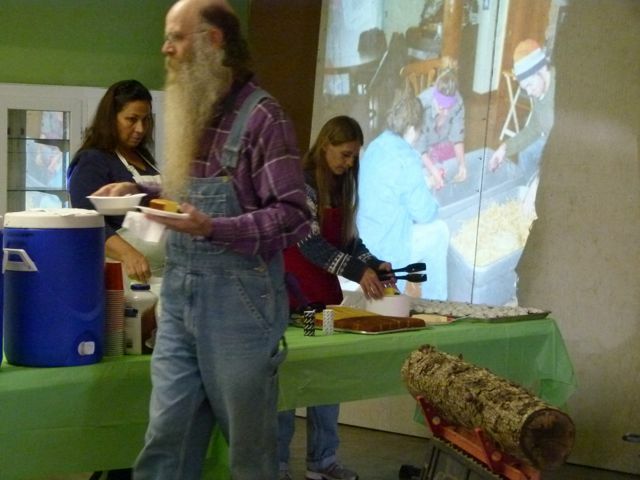 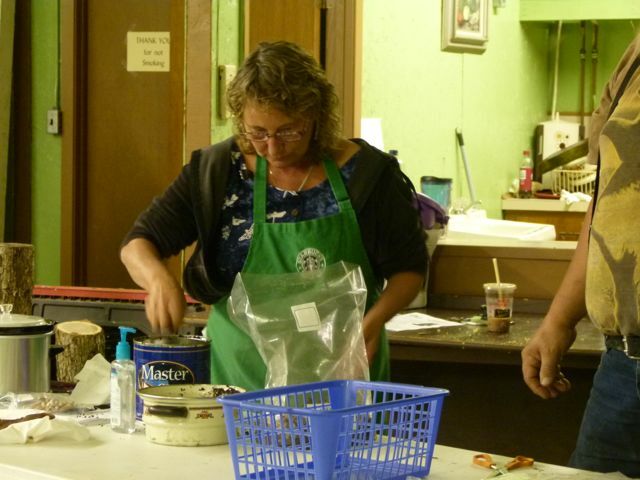 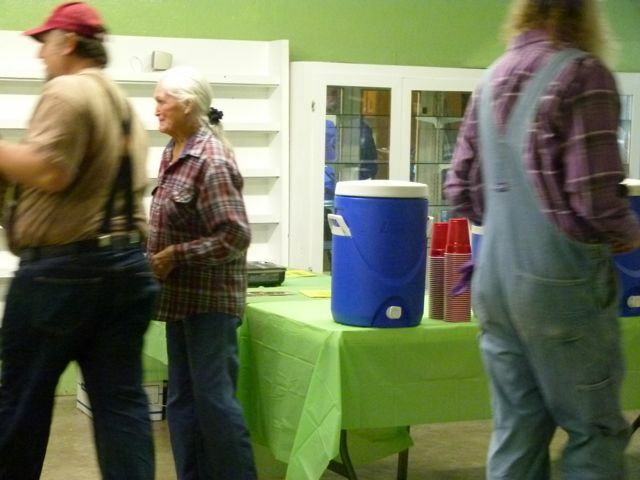 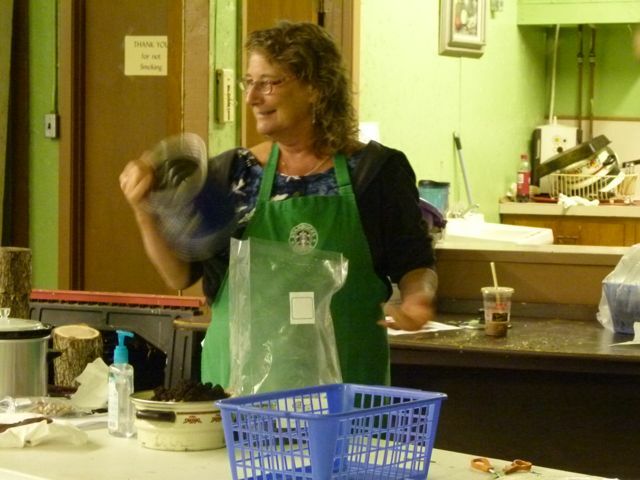 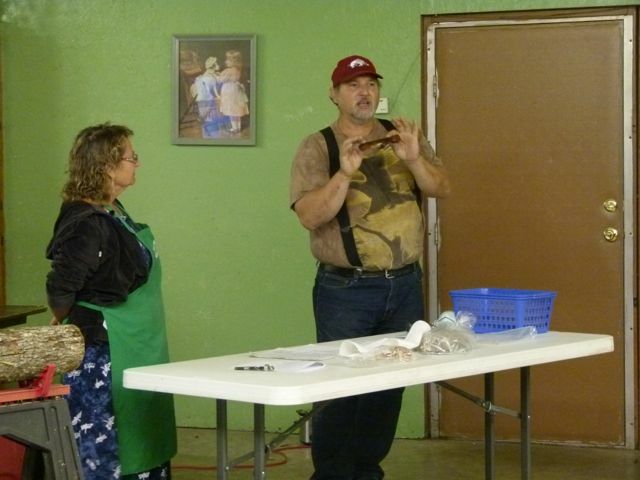 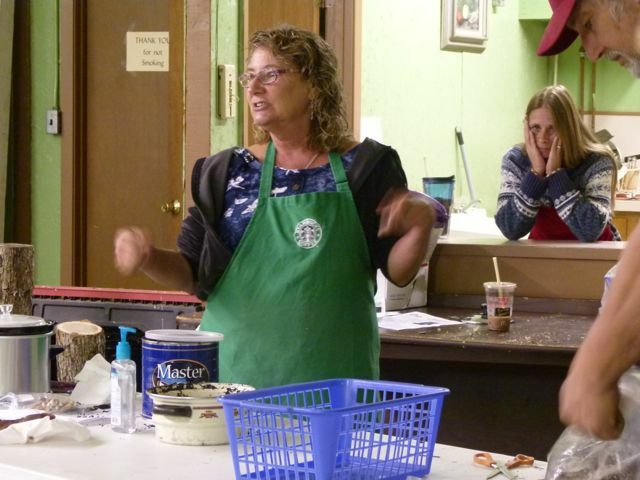 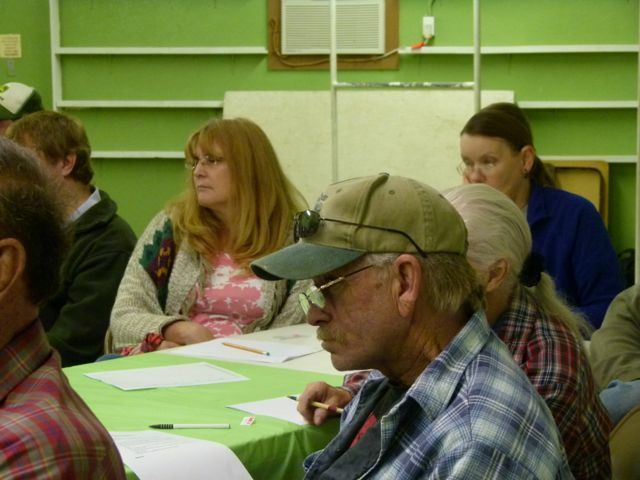 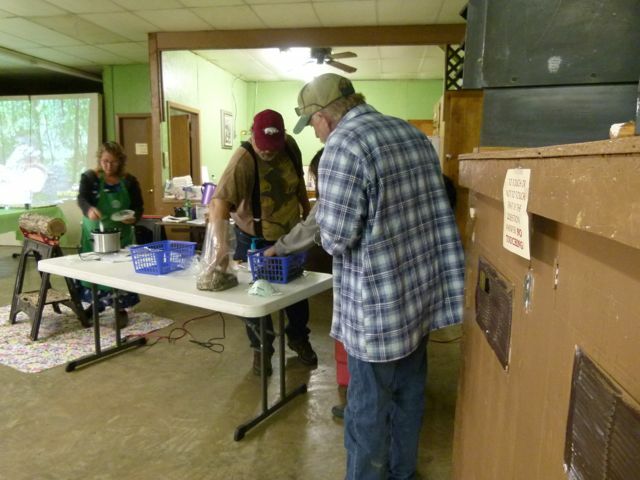 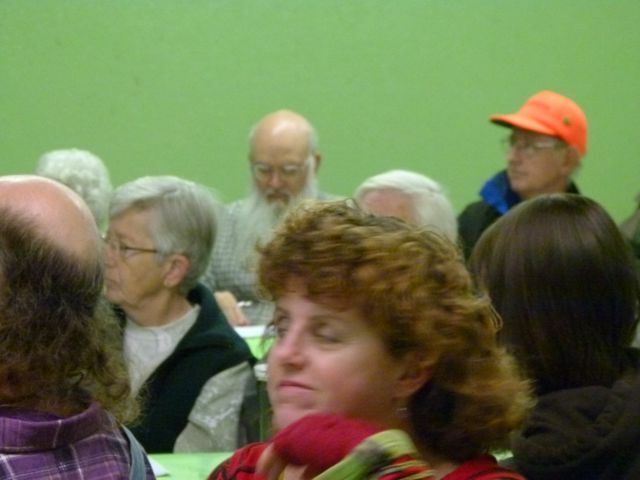 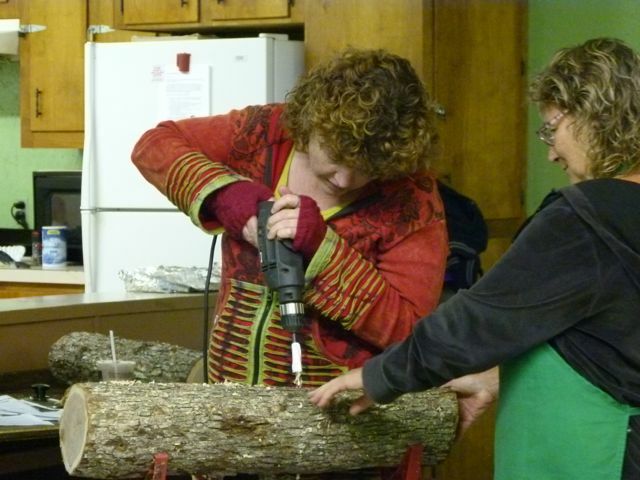 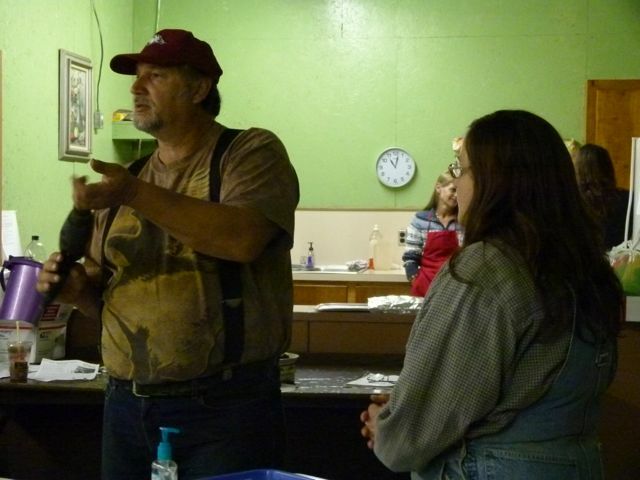 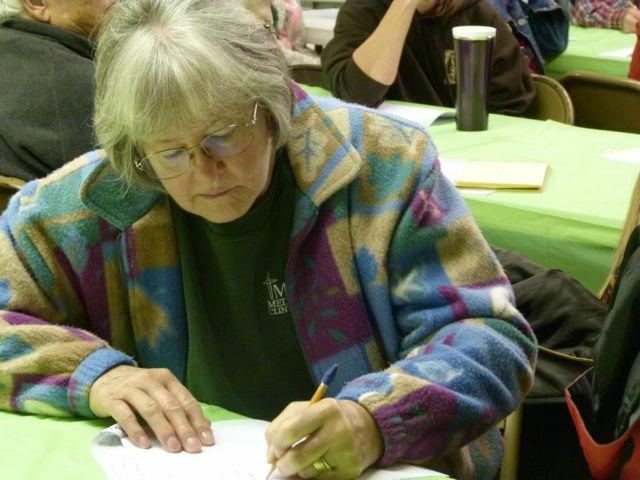 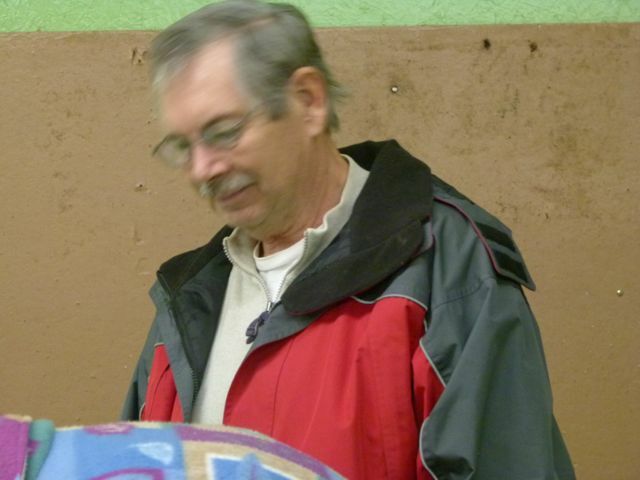 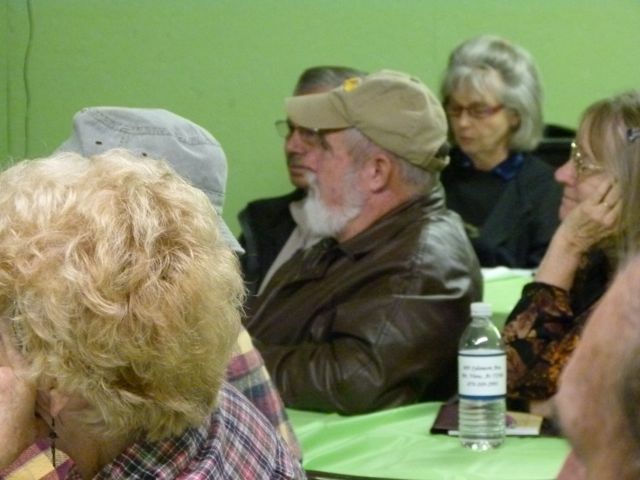 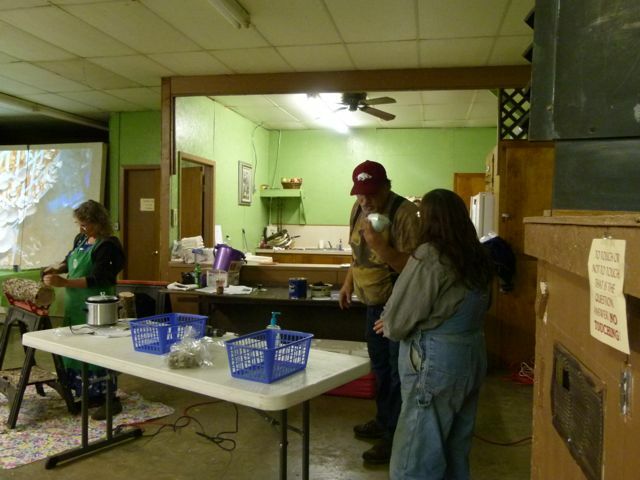 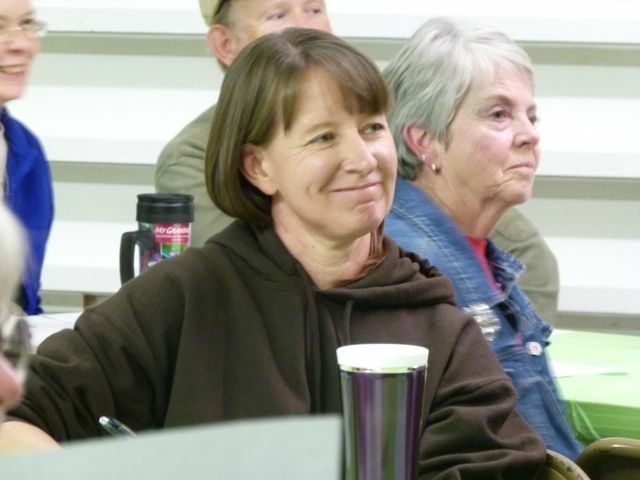 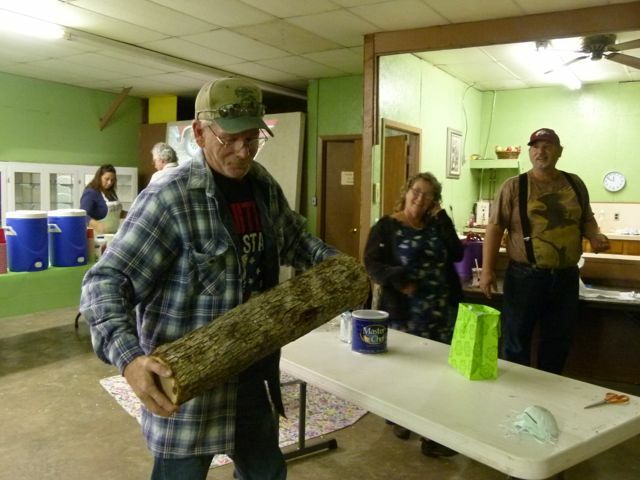 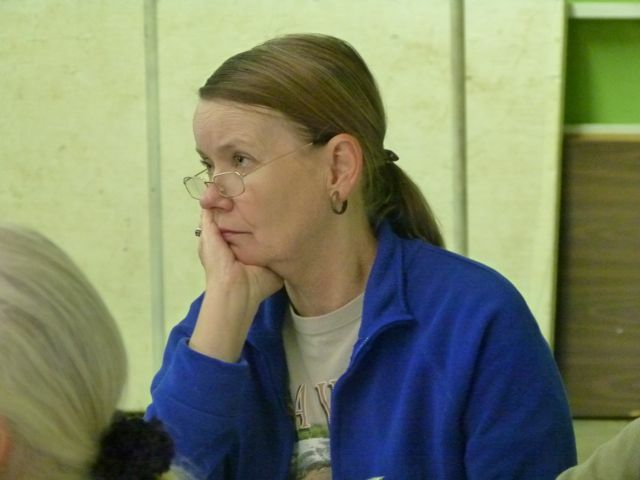 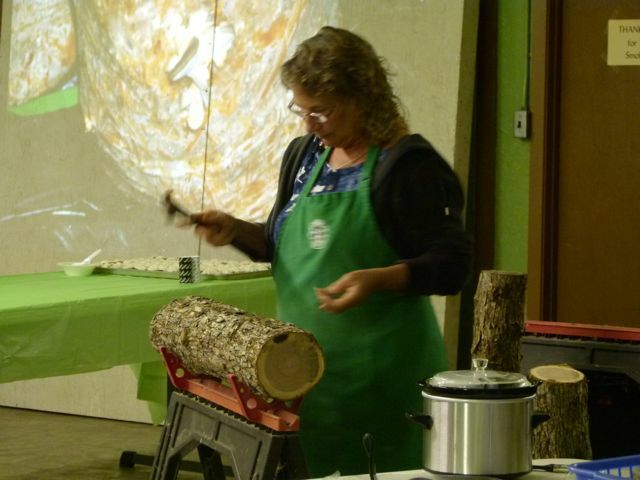 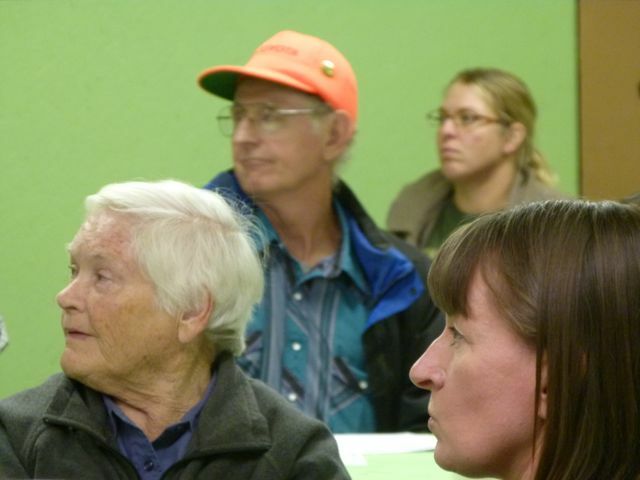 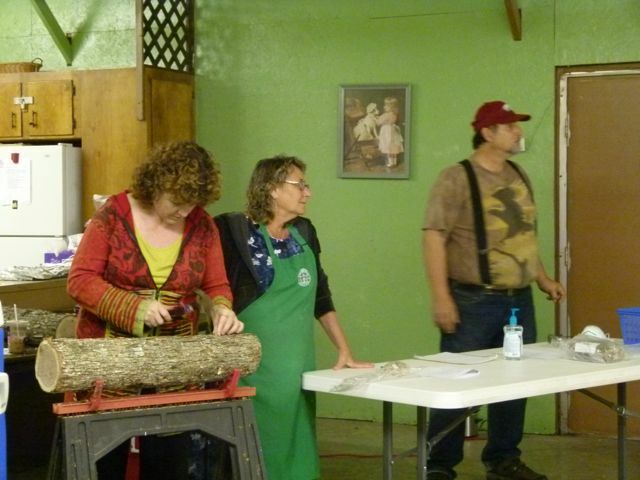 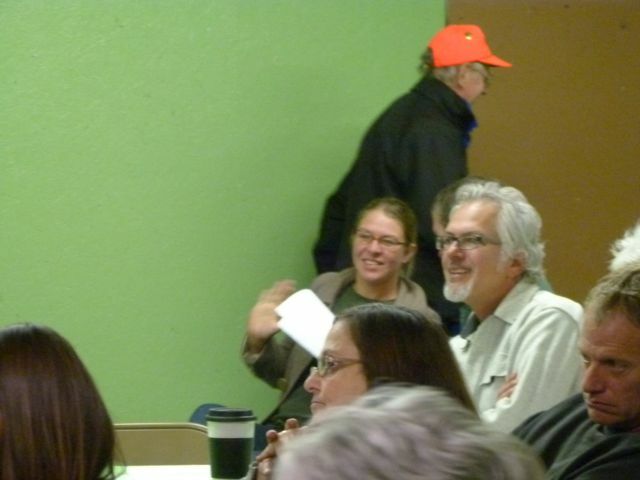 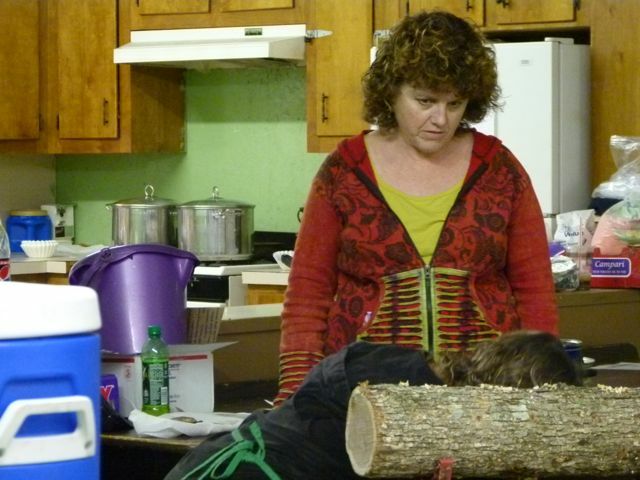 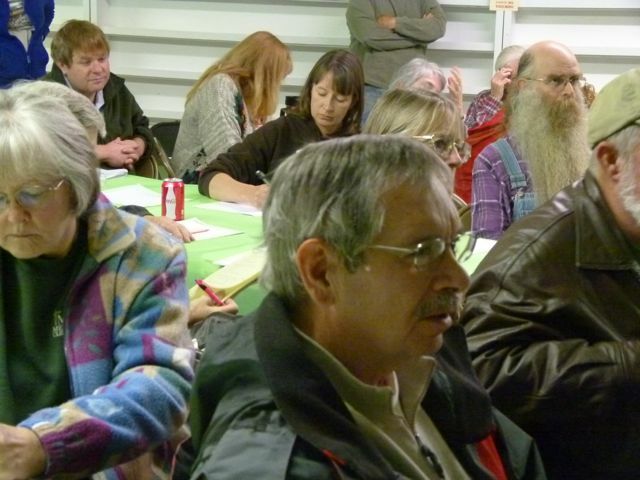 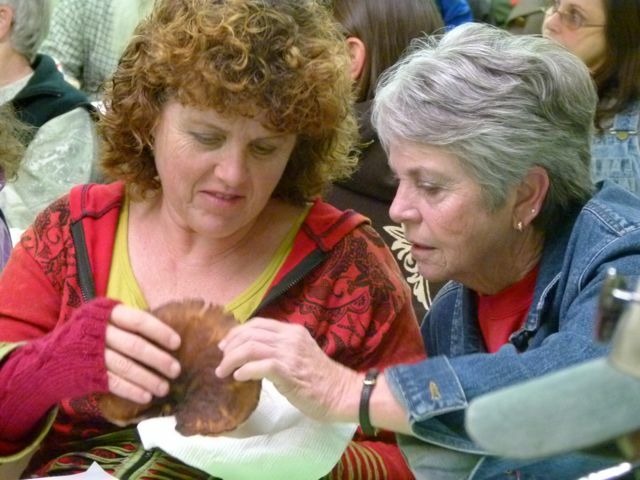 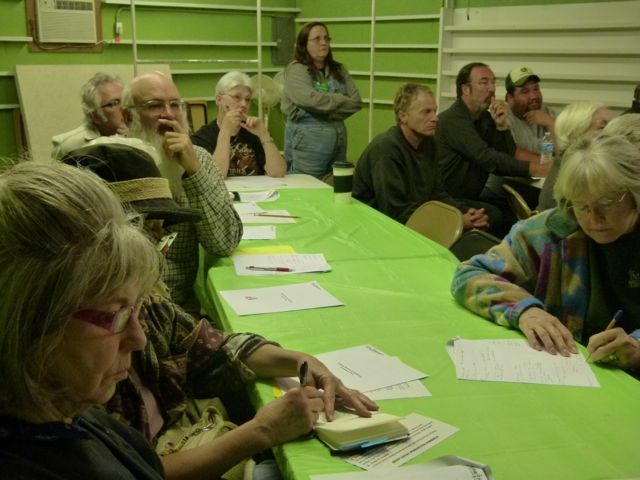 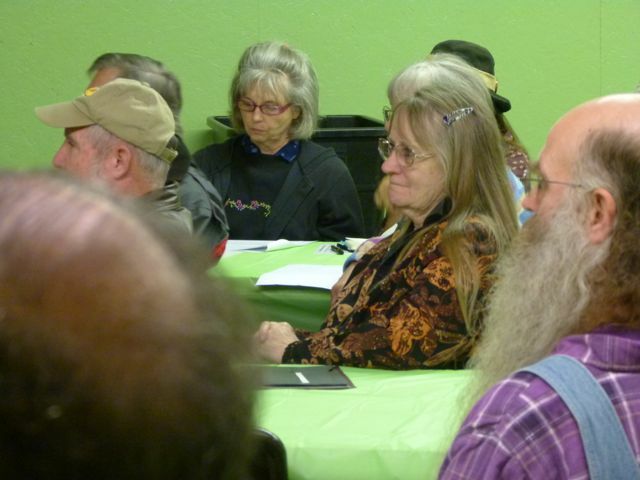 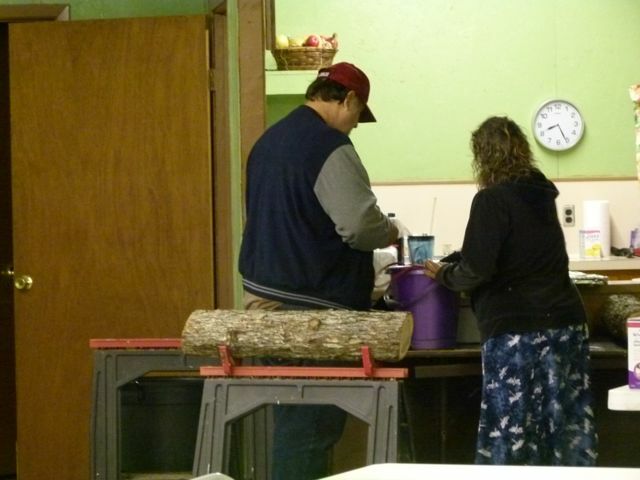 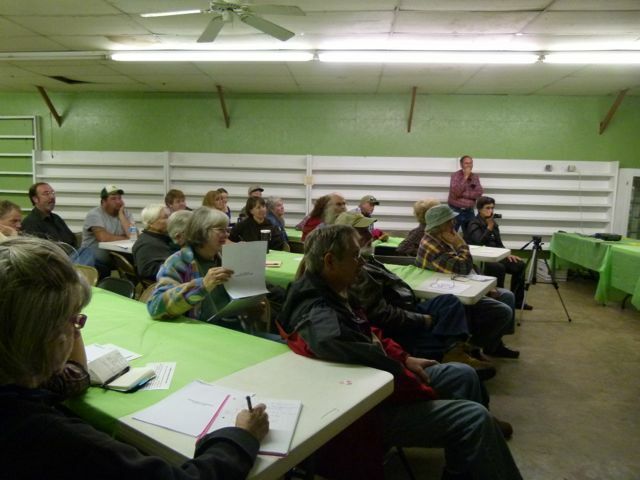 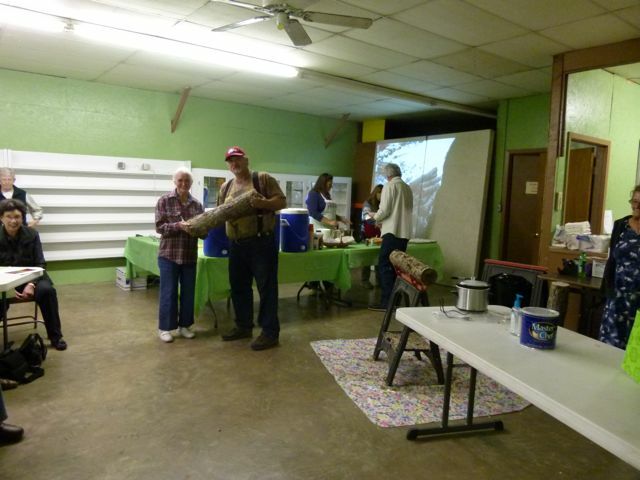 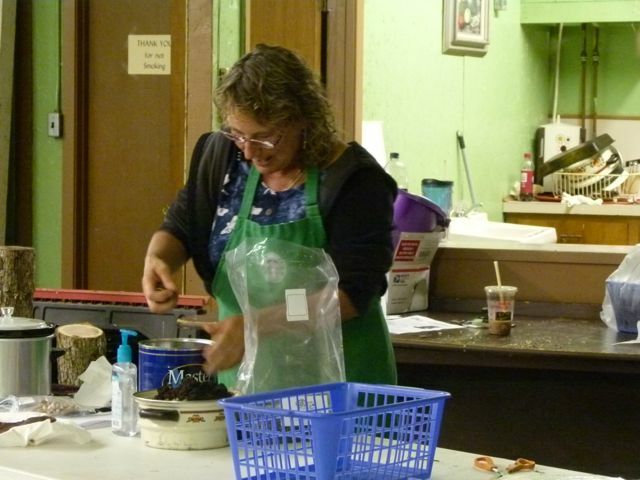 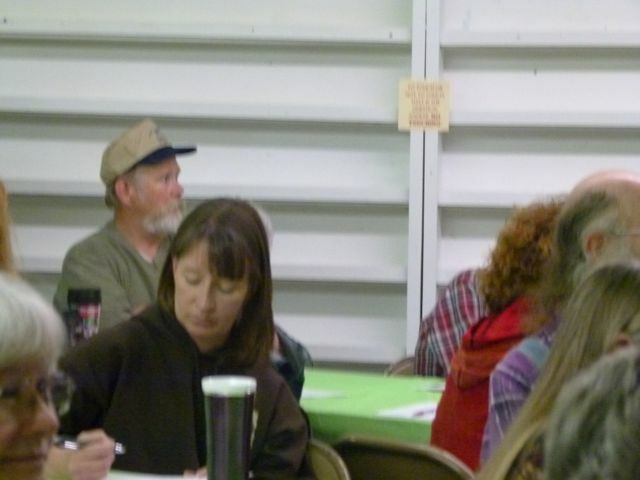 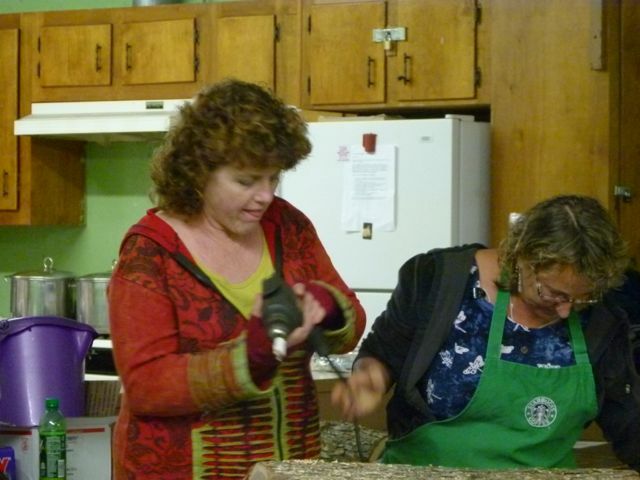 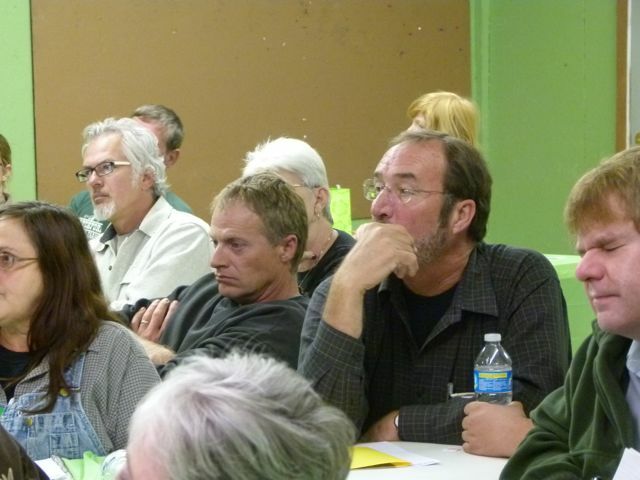 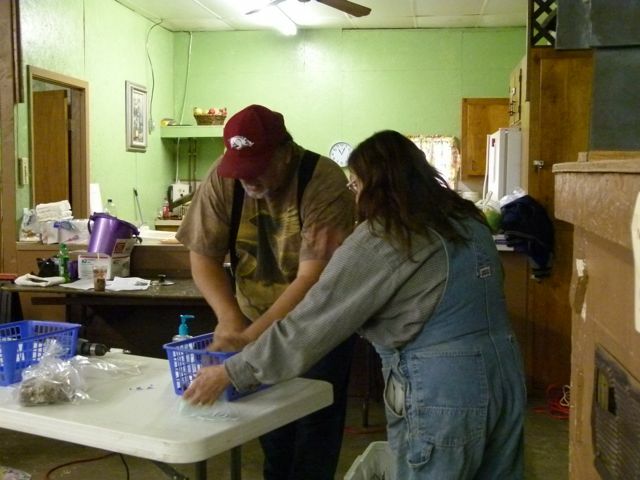 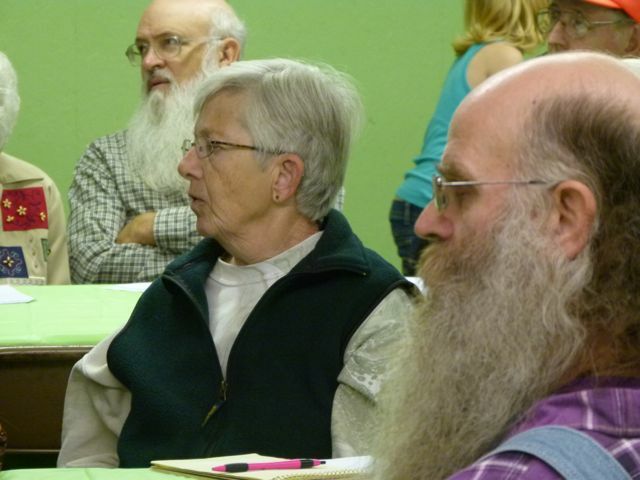 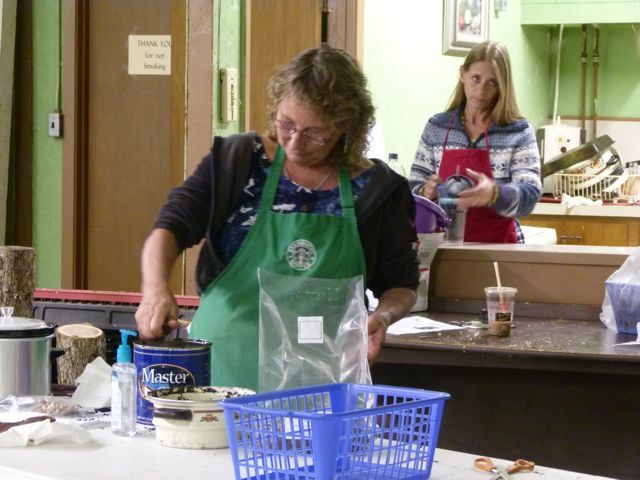 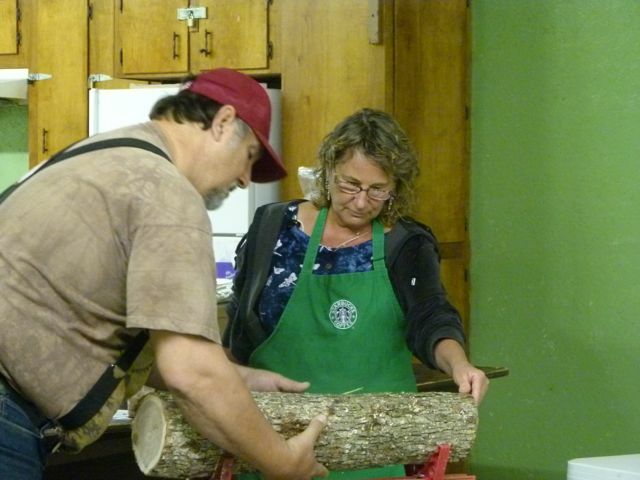 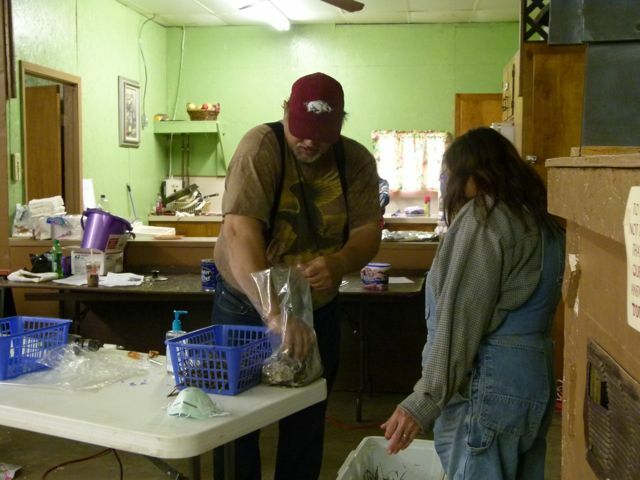 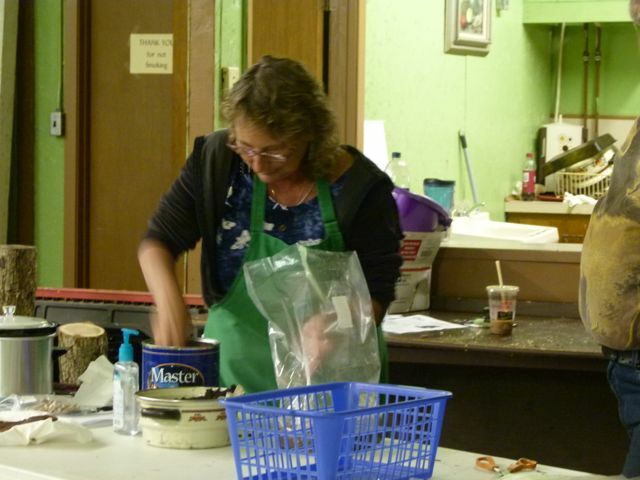 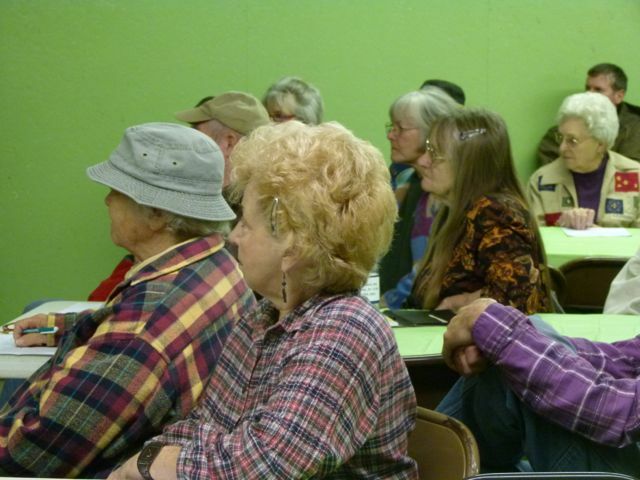 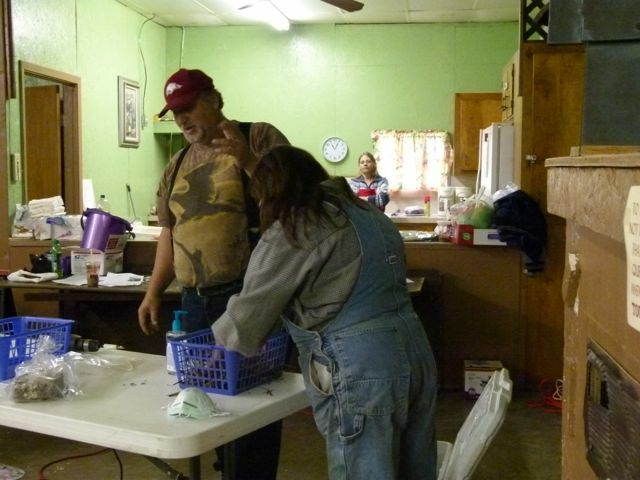 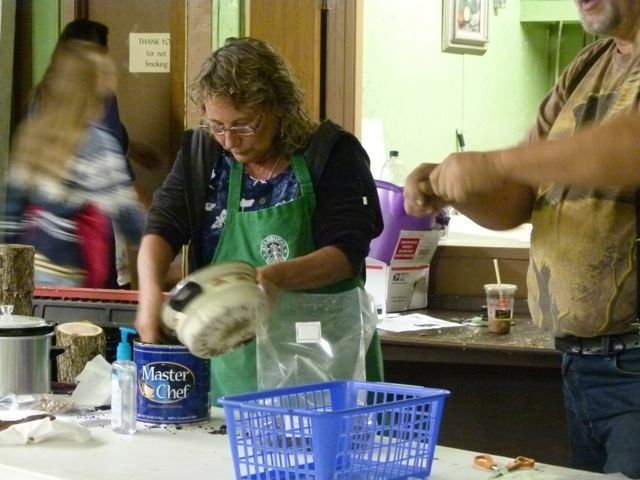 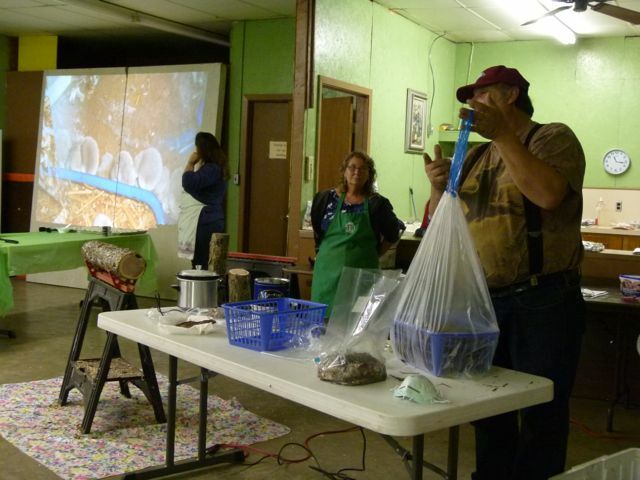 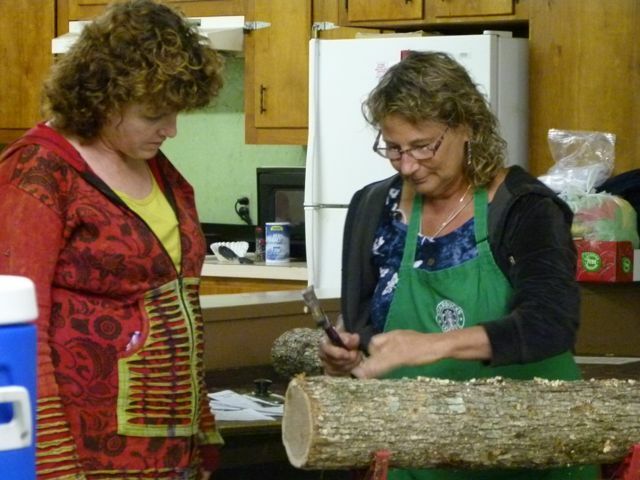 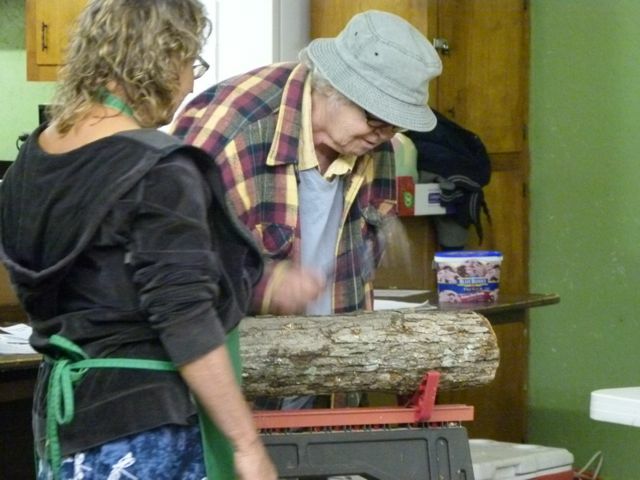 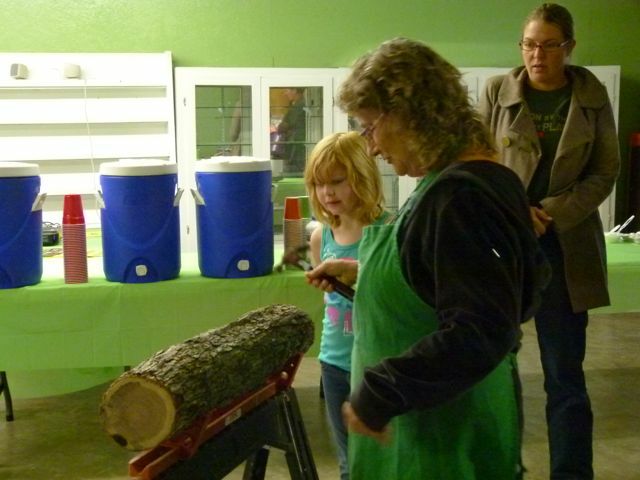 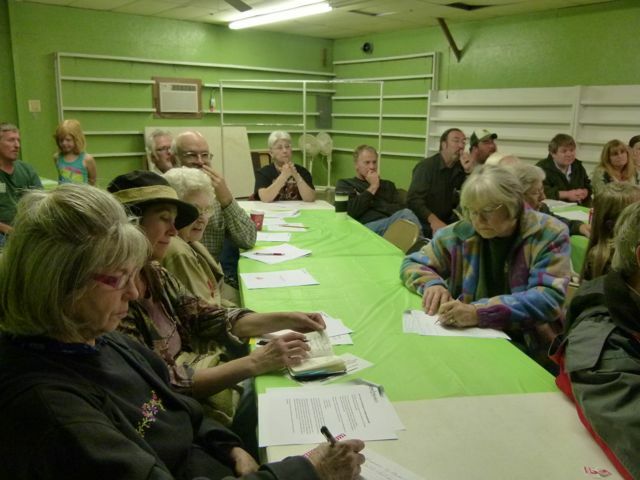 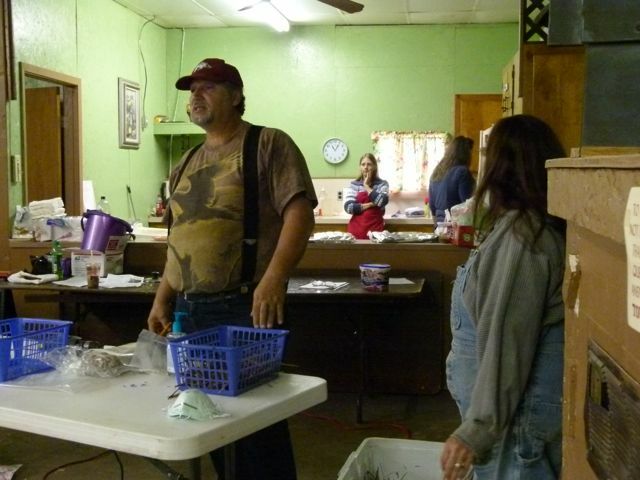 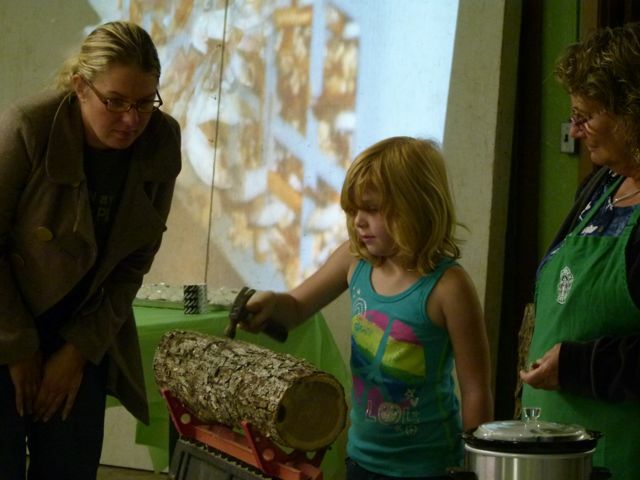 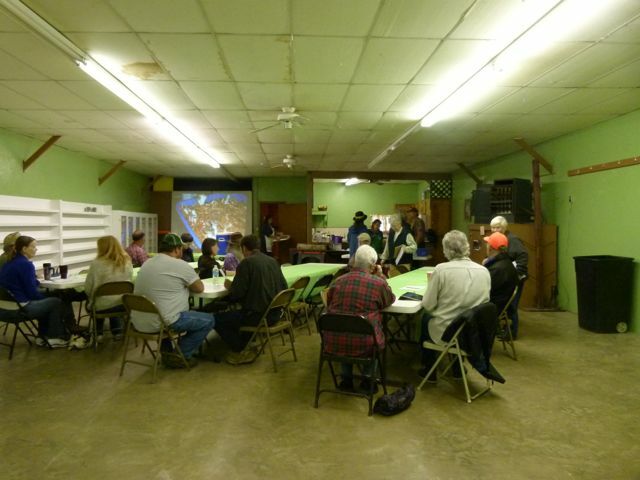 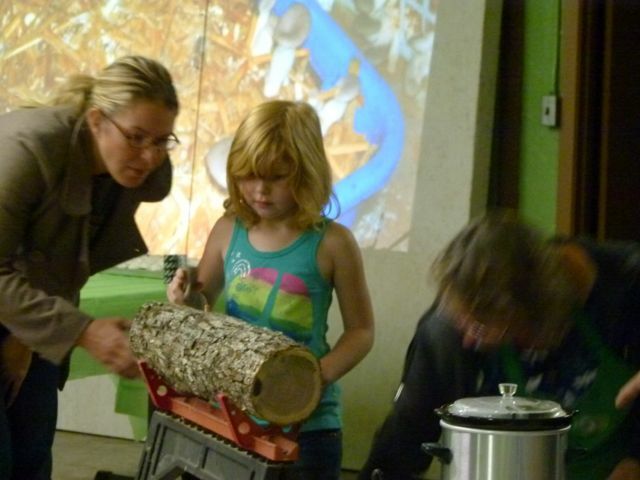 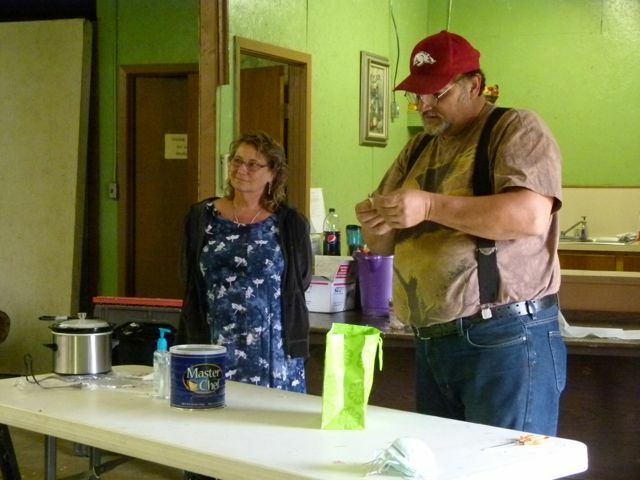 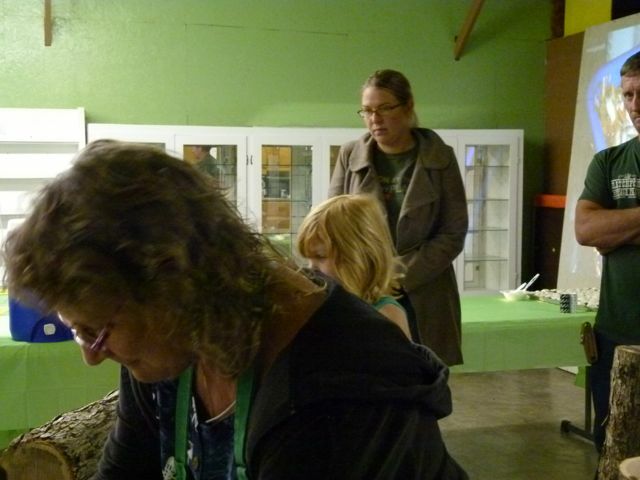 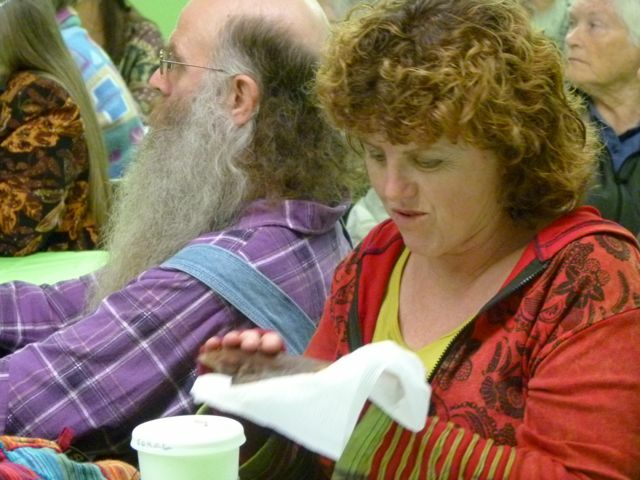 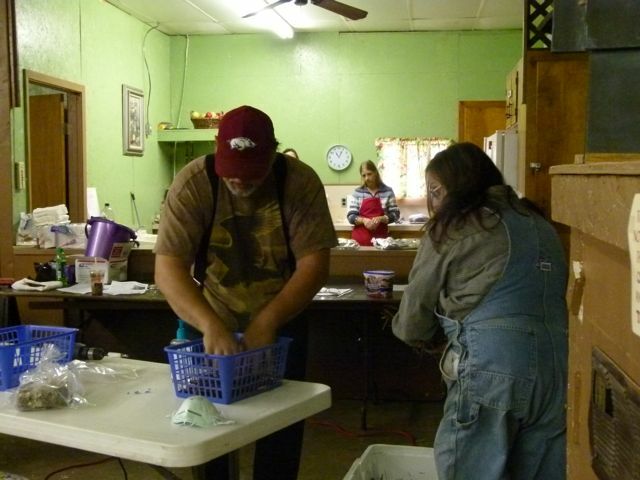 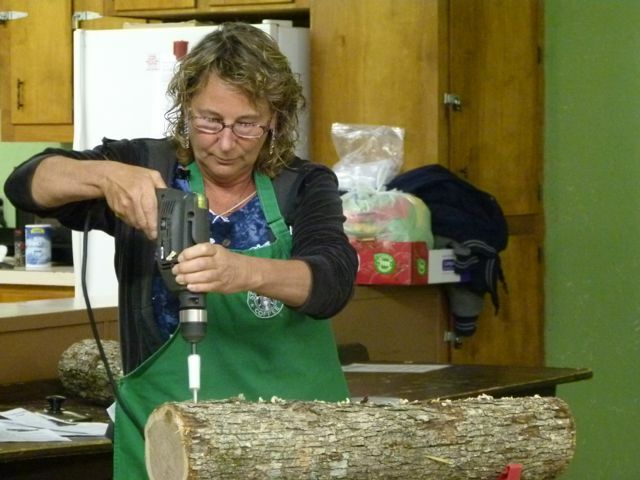 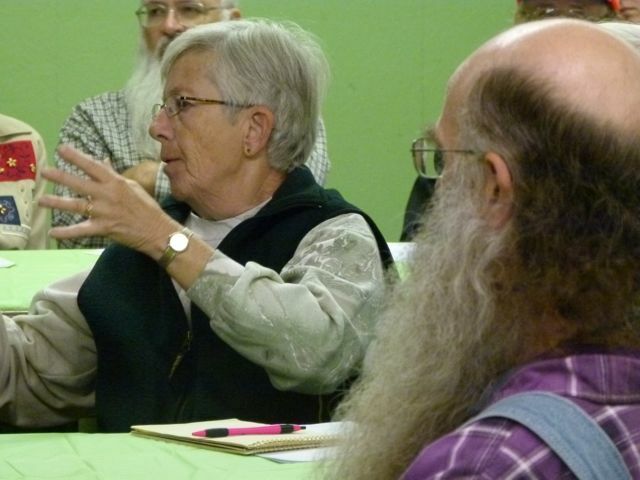 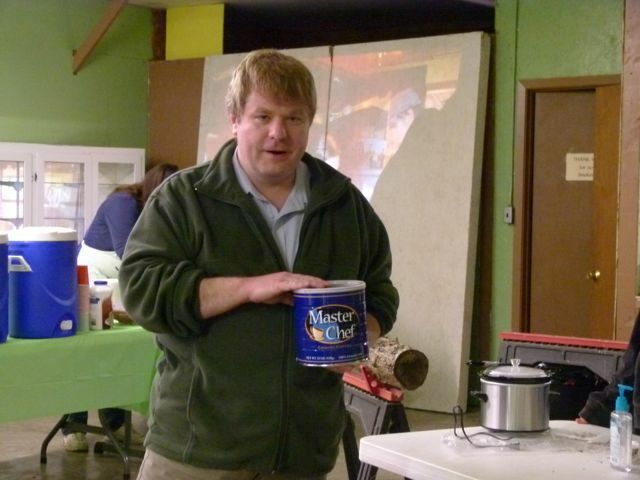 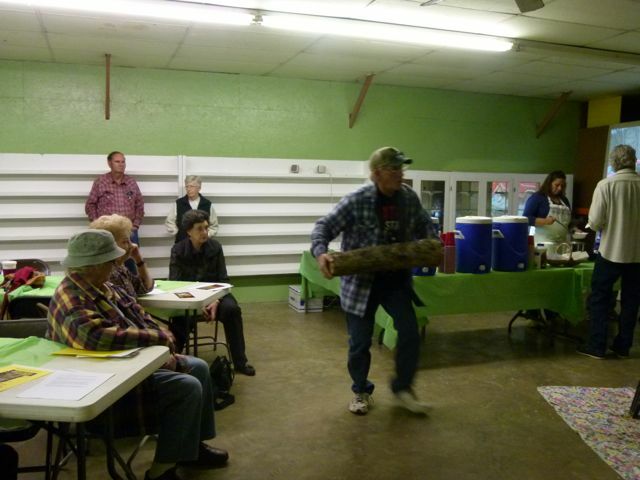 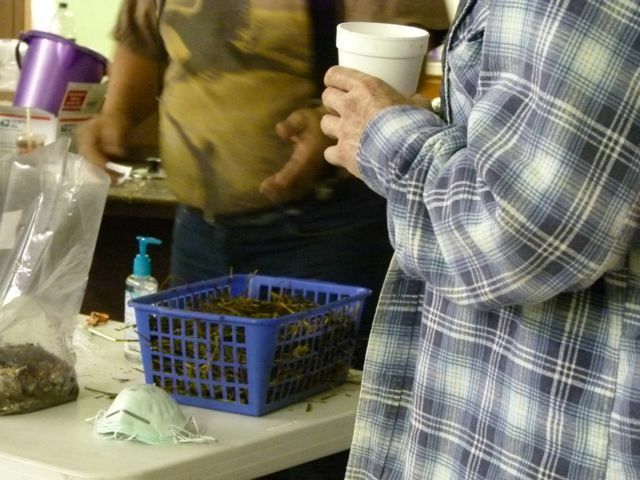 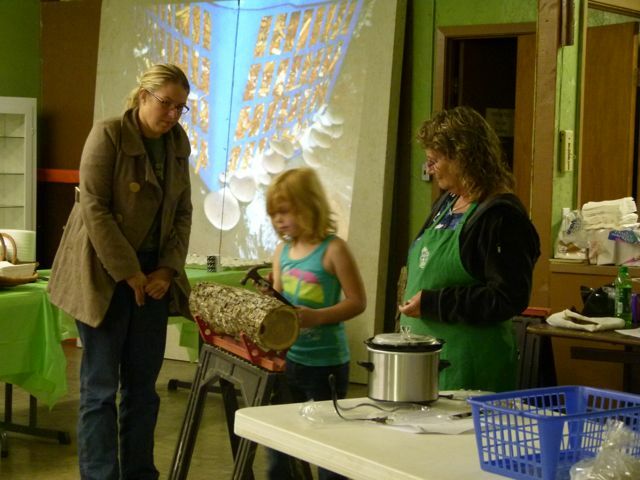 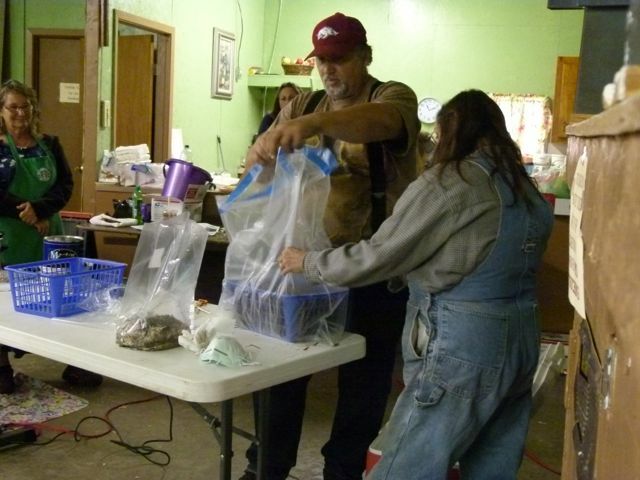 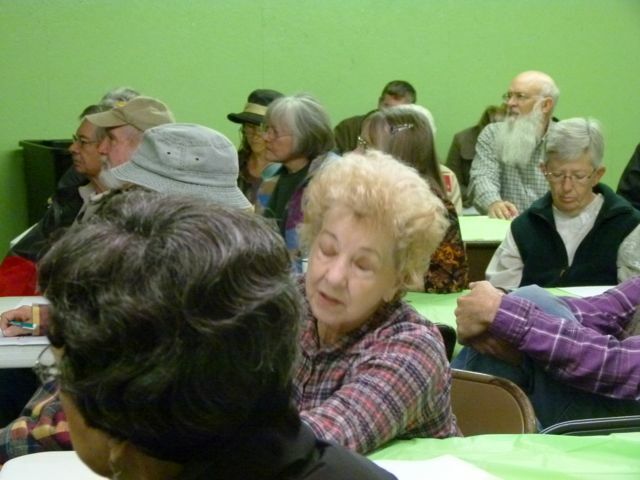 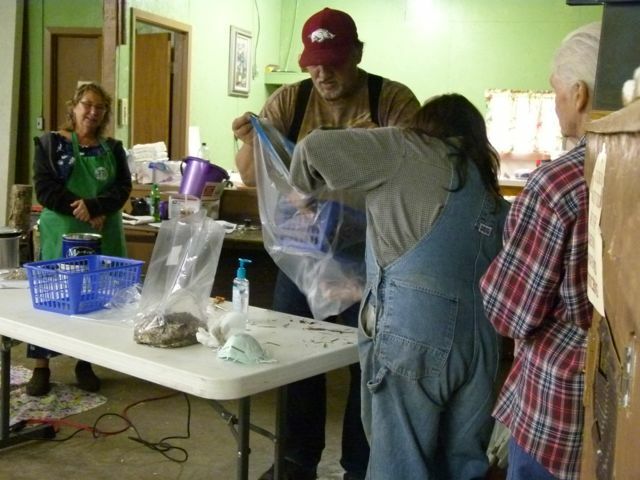 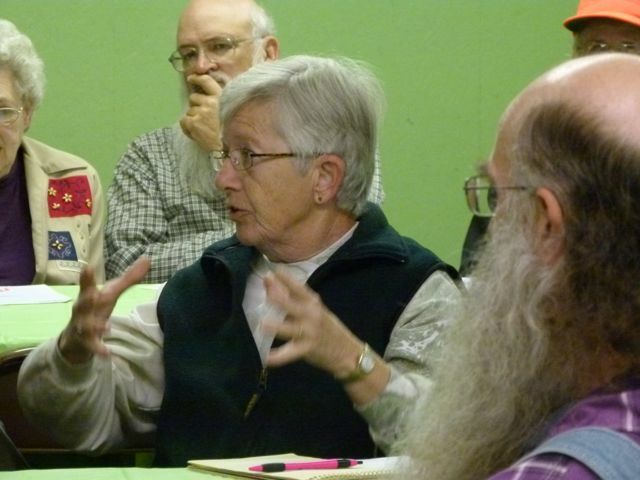 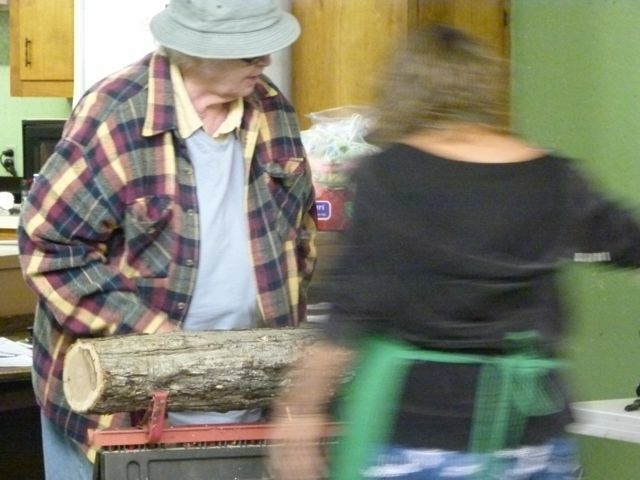 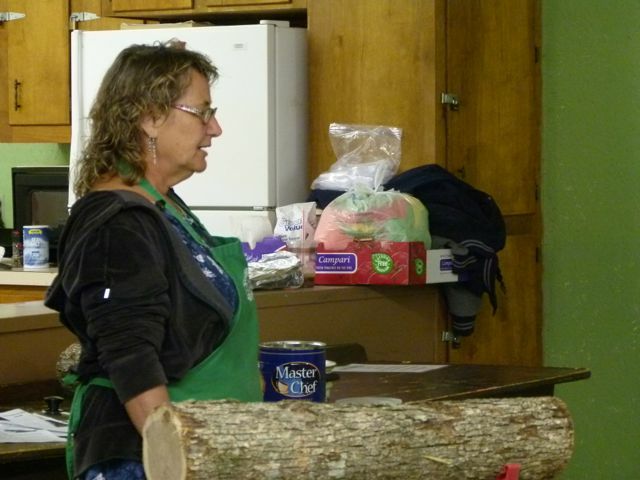 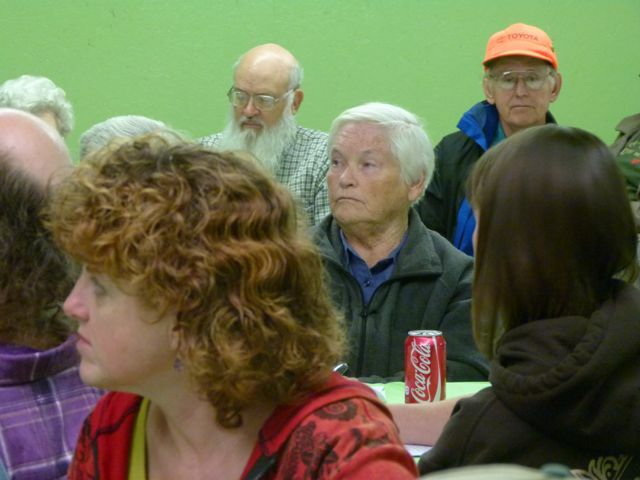 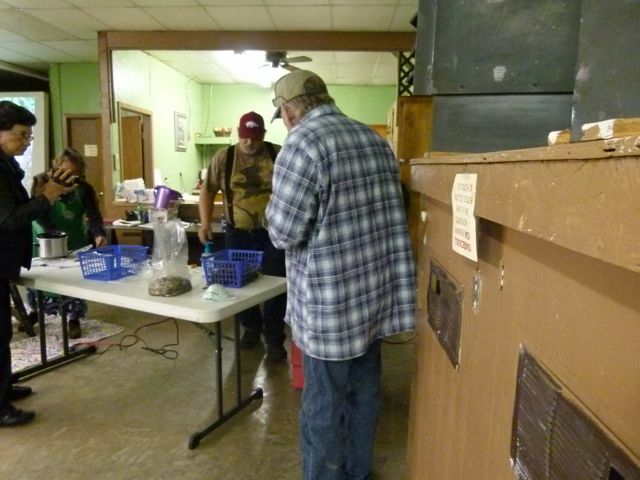 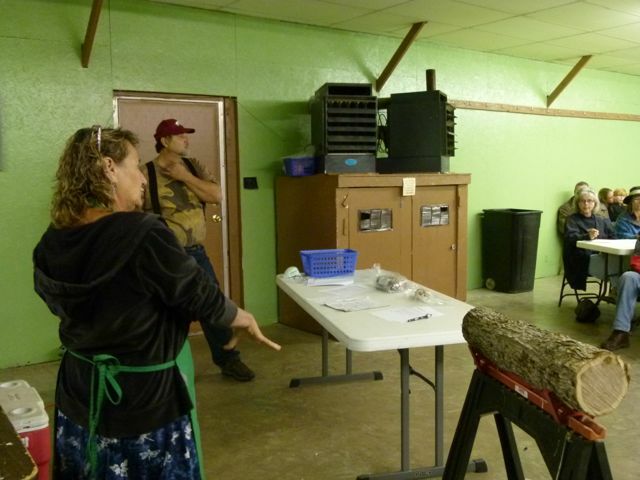 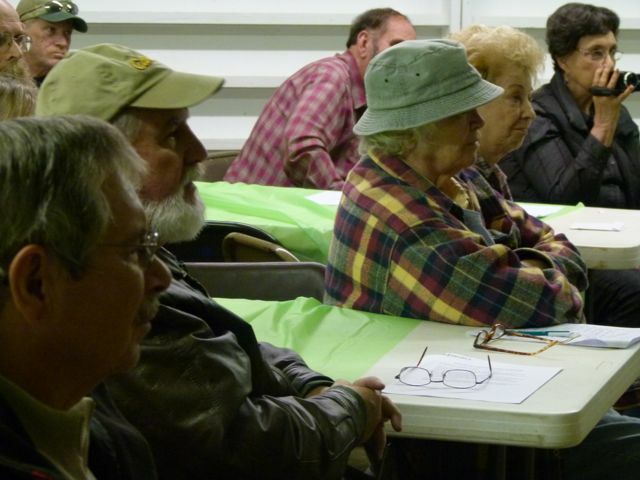 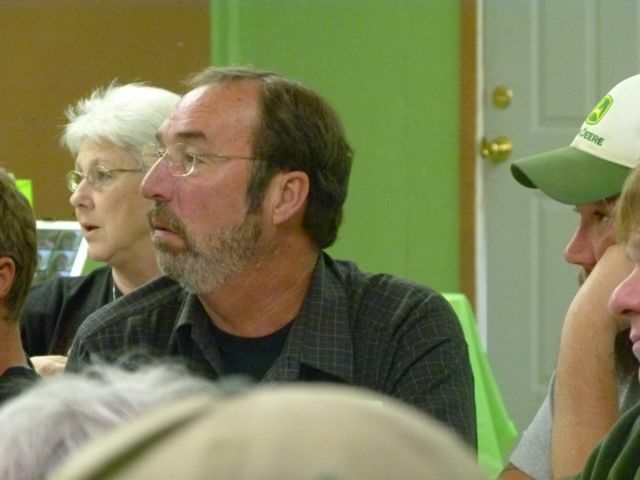 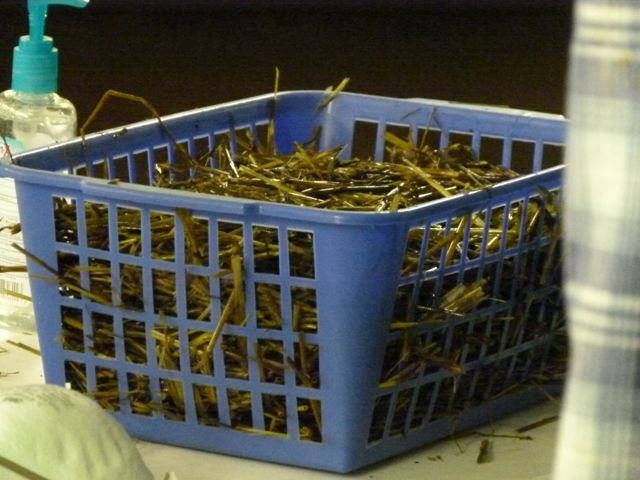 Participants watched and assisted while workshop leaders, Suzanne Day and John Hermansen, used the log-, straw-, coffee can- and junk mail- growing methods to start new crops of mushrooms. 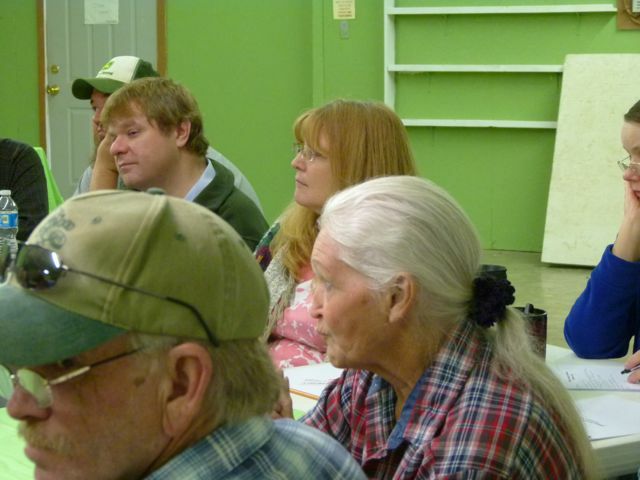 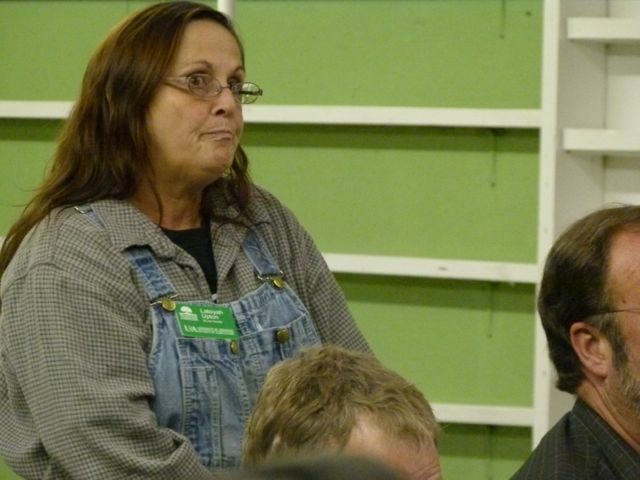 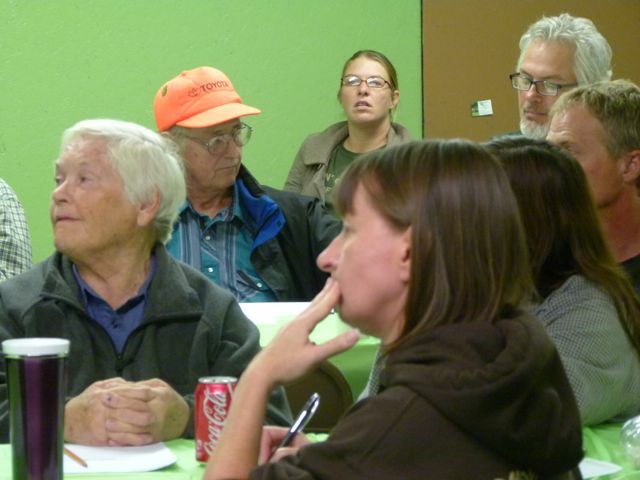 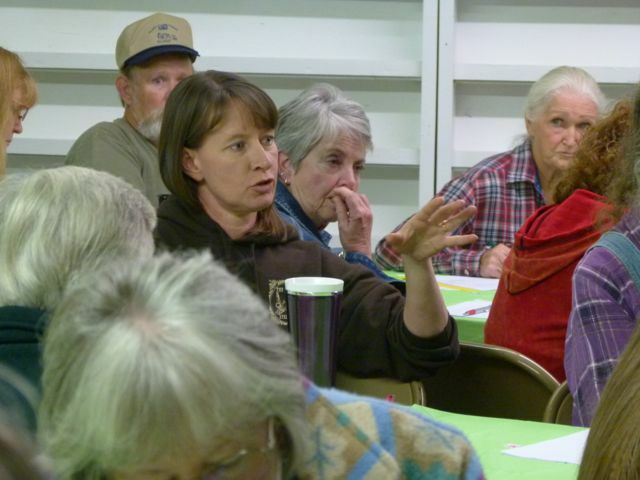 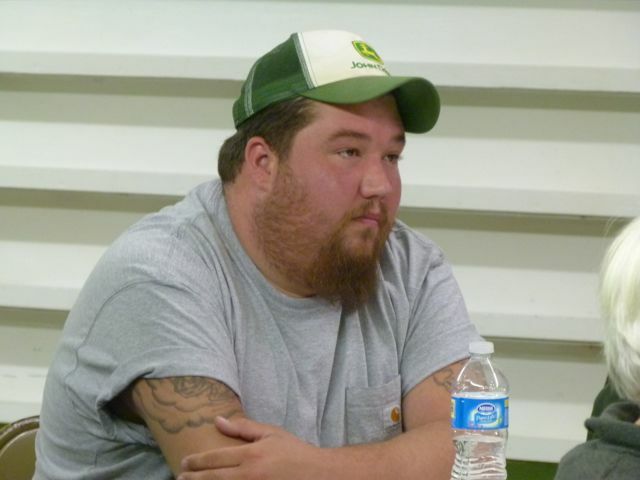 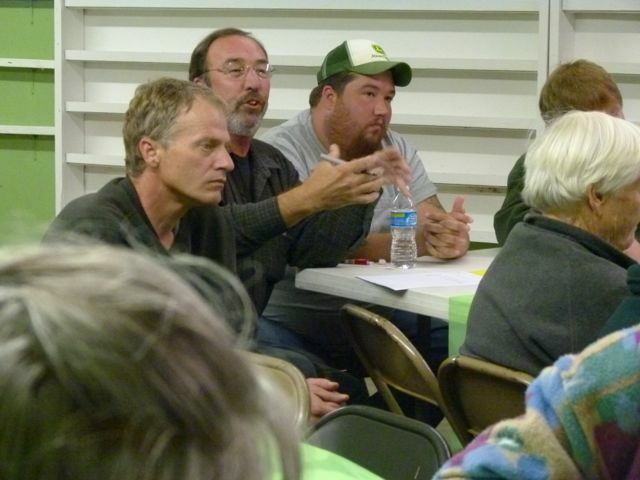 Participant feedback indicated participants were intrigued and eager to attend upcoming workshops onsite at Meadowcreek where they will start their own crops. 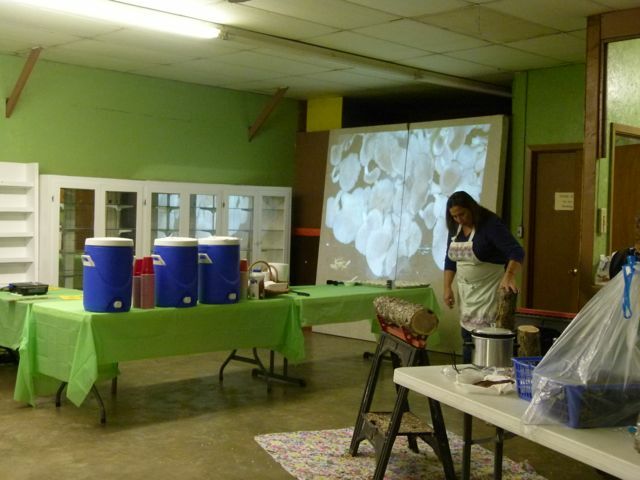 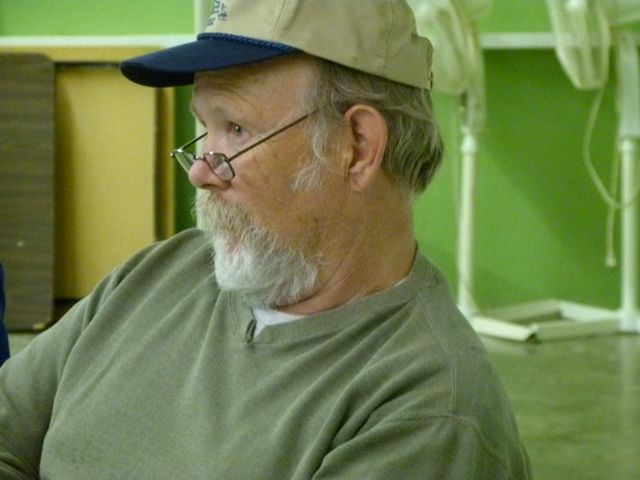 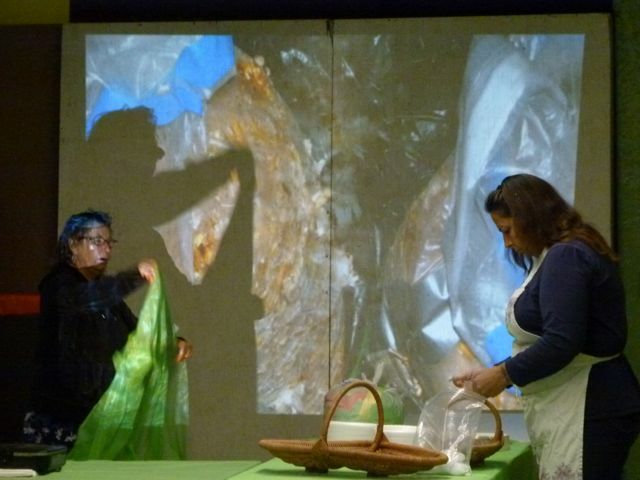 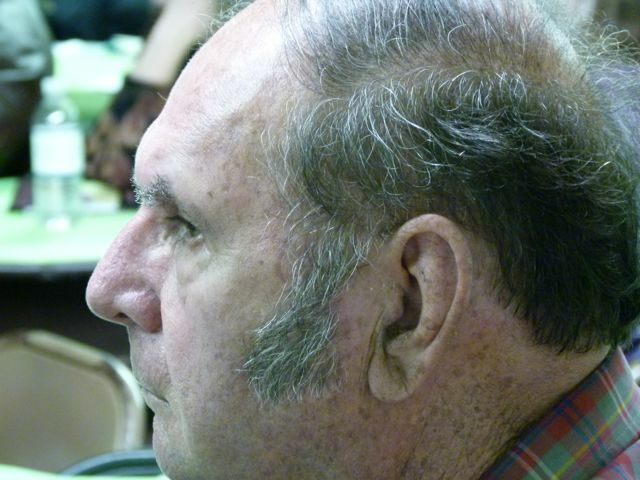 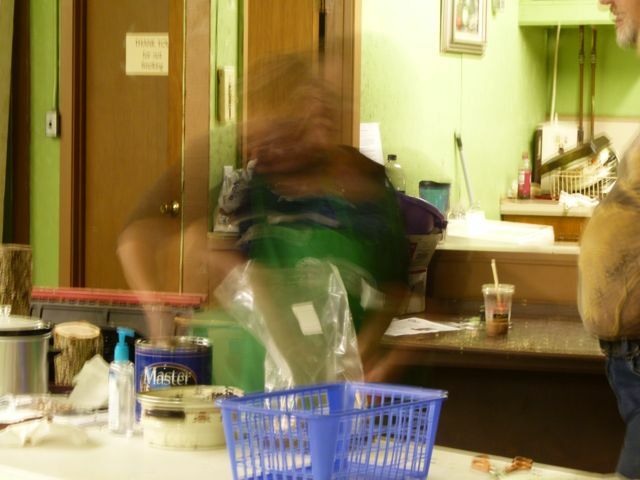 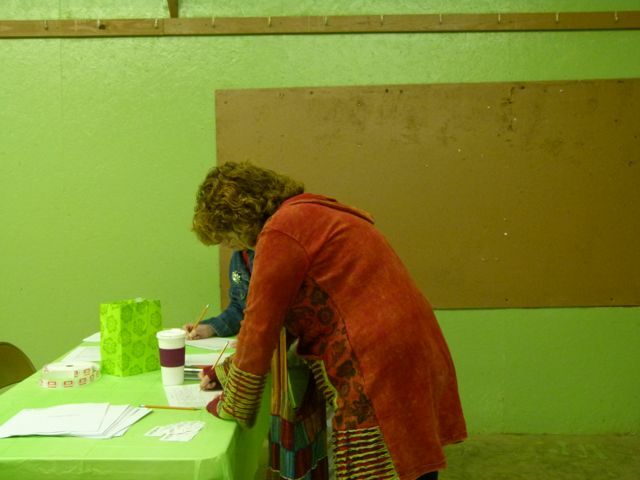 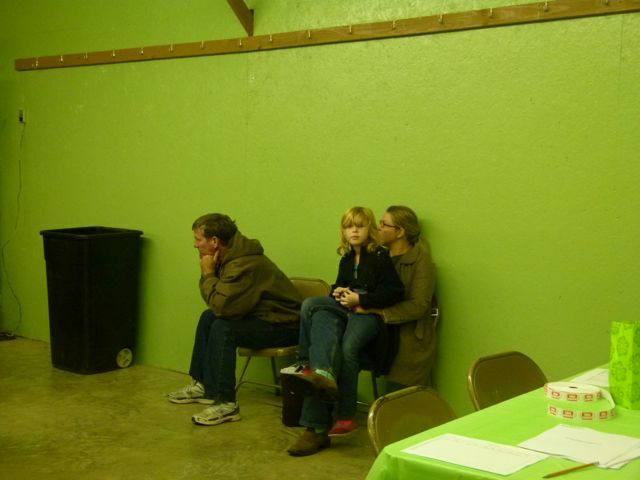 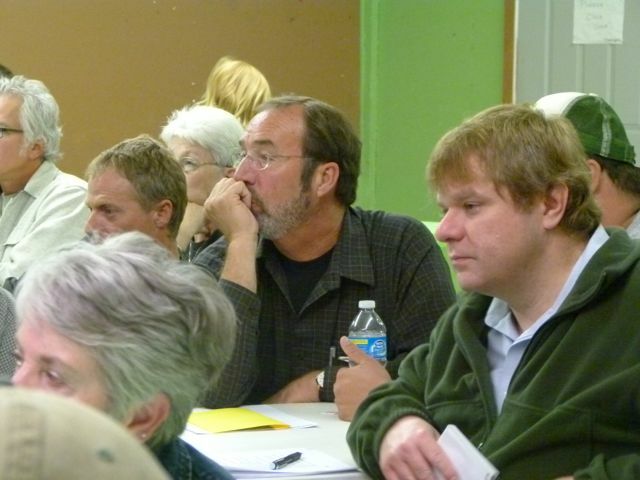 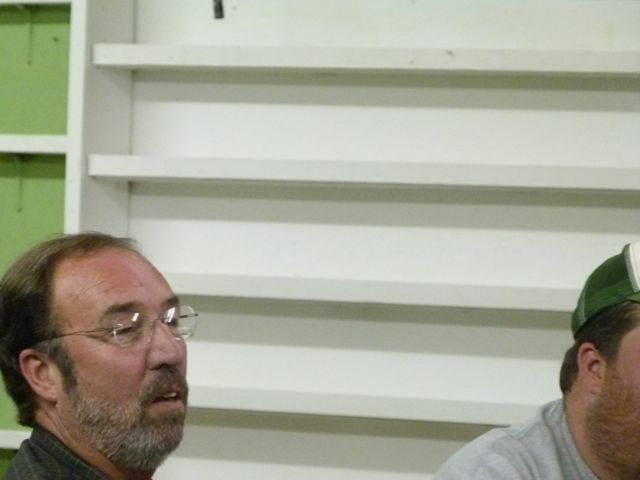 Here are pictures from our workshop!